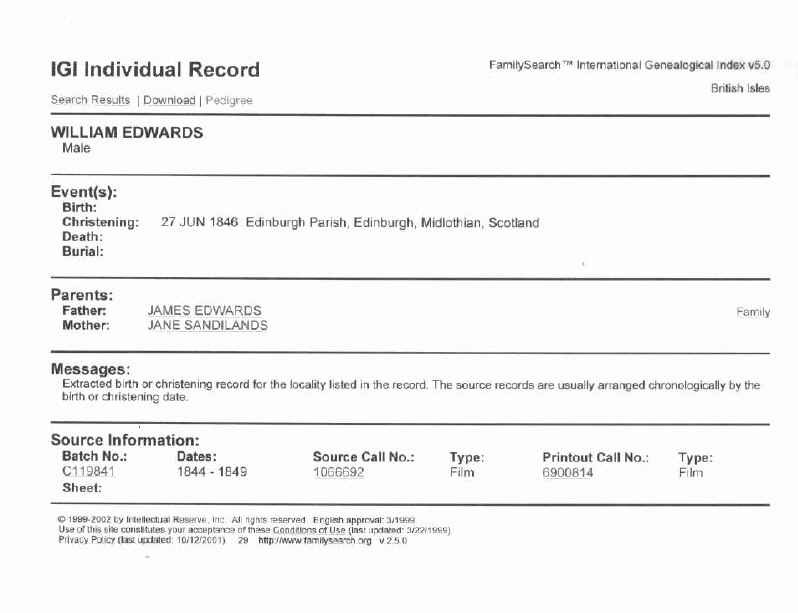 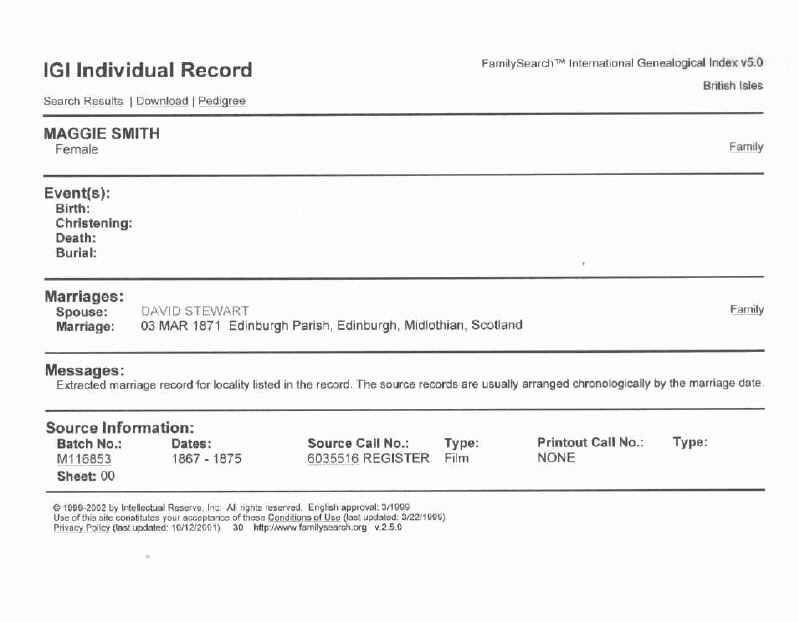 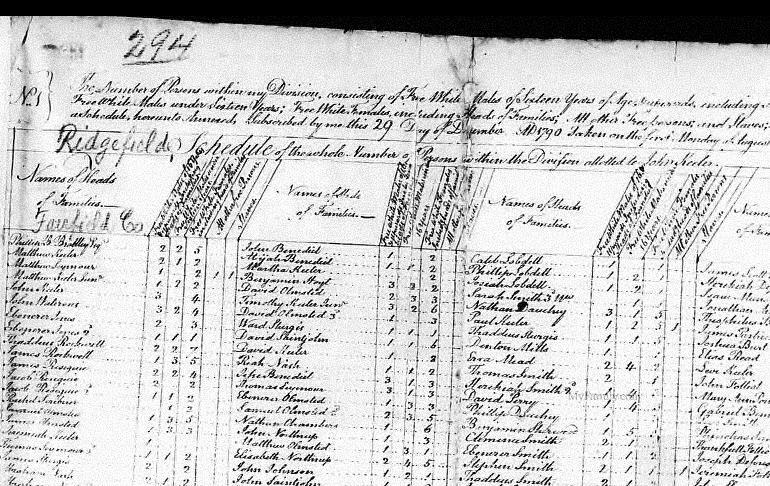 advantage and a good source for proof of Genealogy for persons in these pages. 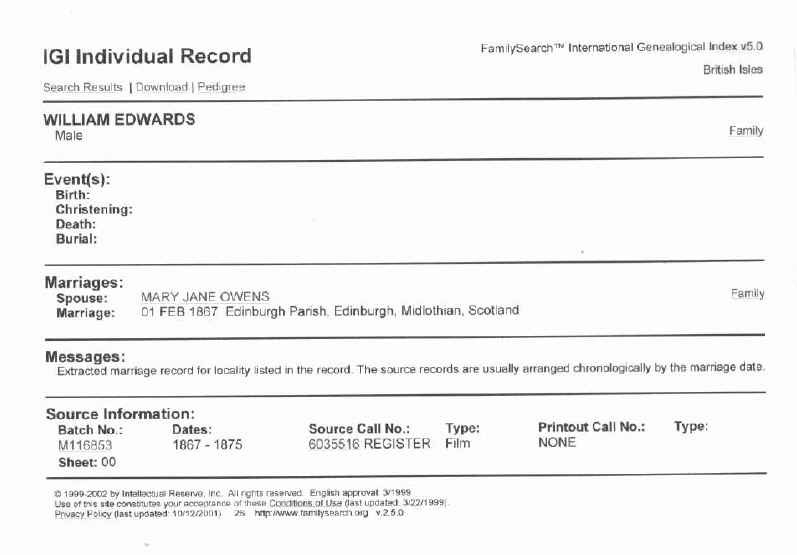 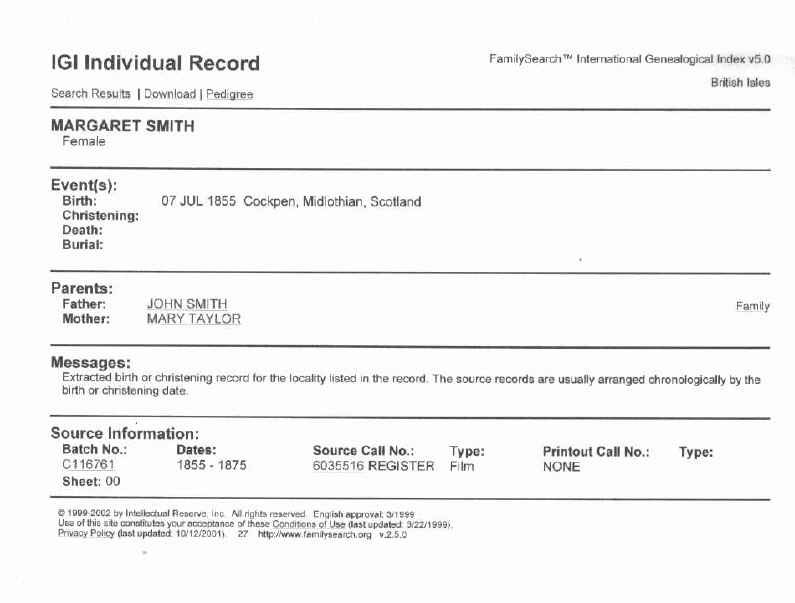 change it on my master website & gedcom files. 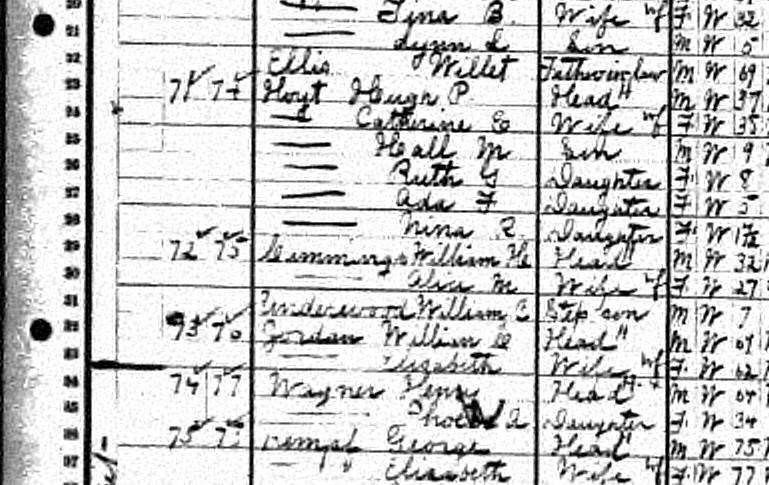 Here's the John Hoyt, Hoit Line; administrator name, email address & website. 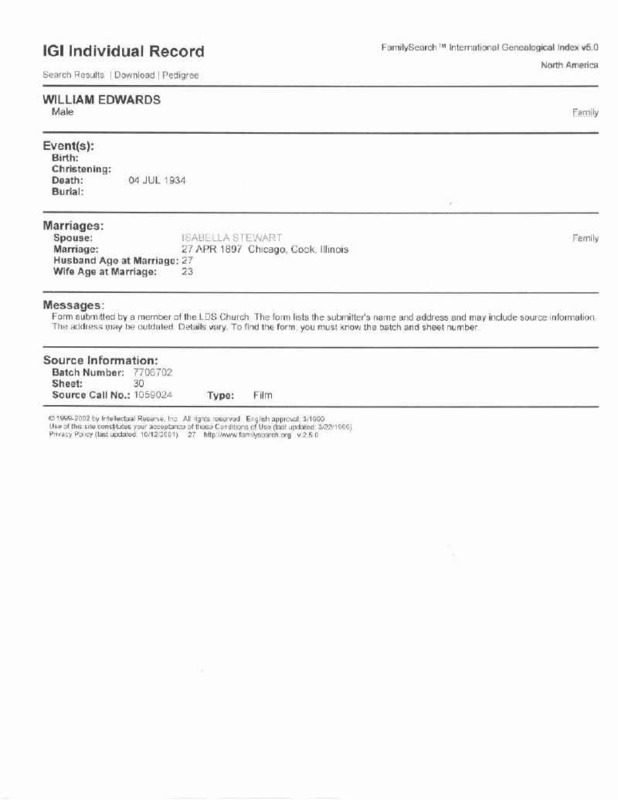 CTFairfieldCoRidgefield1800censuspg4-Sameul-TimothyHoyt (Probabl ymy Timothy Hoyt b. 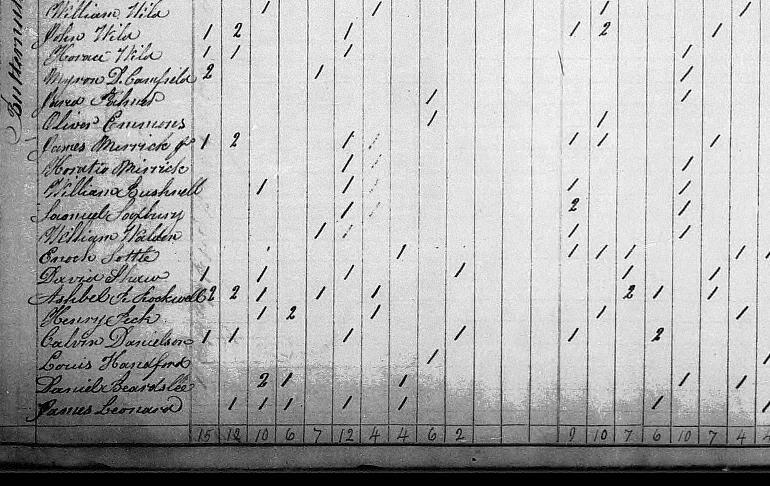 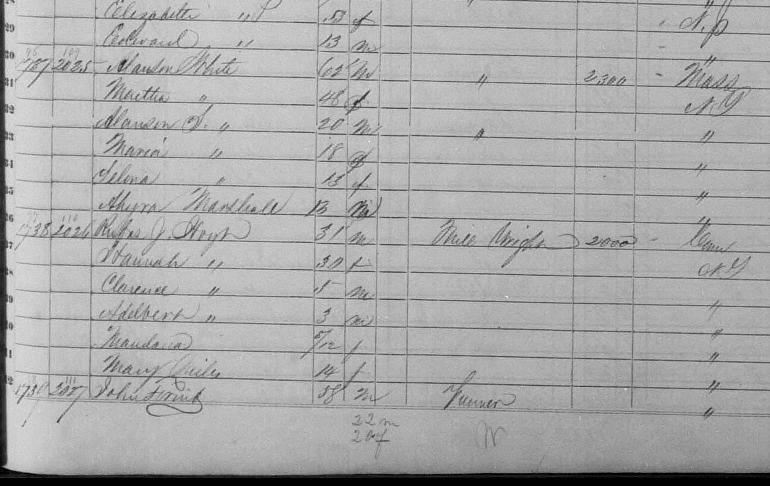 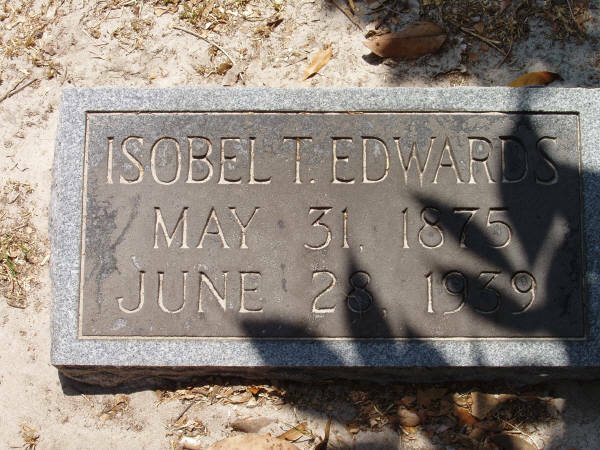 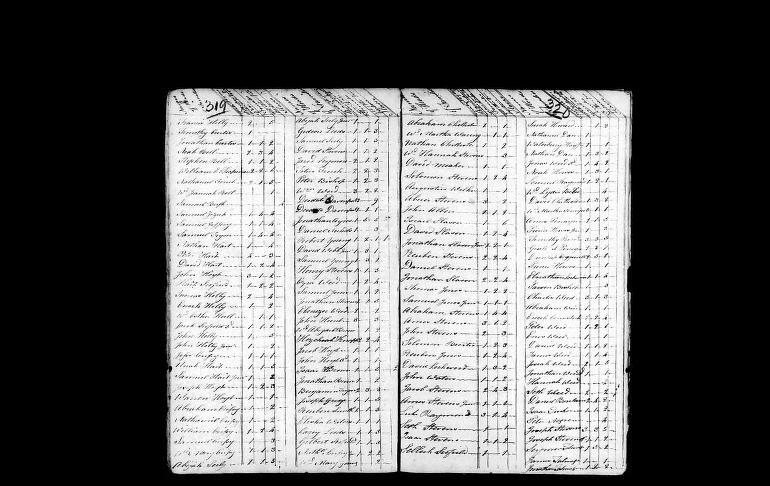 1770 brother Samuel born 1754 and died in 1819.
my maternal Grand Mother, (Katherine Elizabeth (Hoag) Hoyt's, Father. 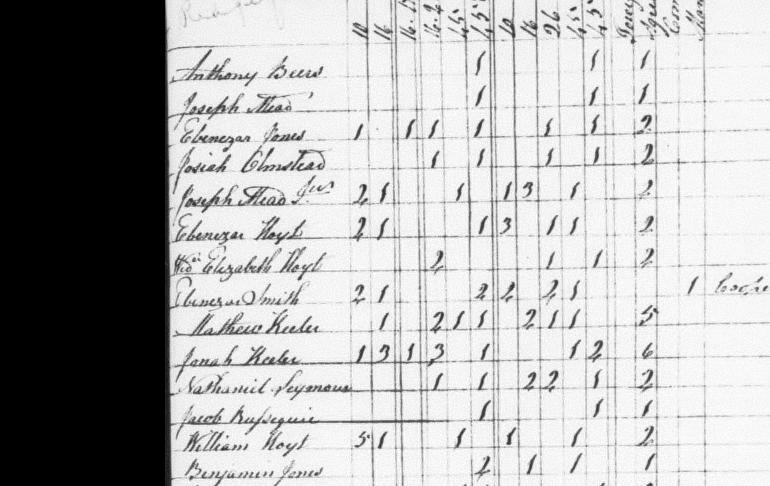 INDEX of IMAGES - 33 PAGES Timothy Hoyt 1820 Brutus Twp. 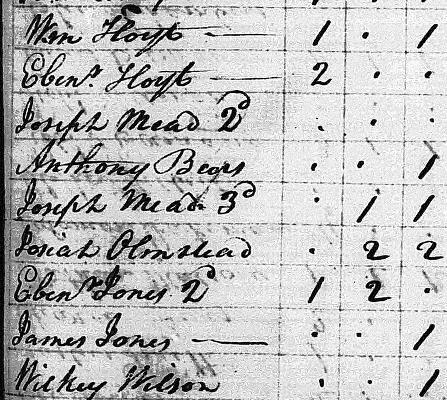 / son, Nehemiah Hoyt 1830 Cato Twp. 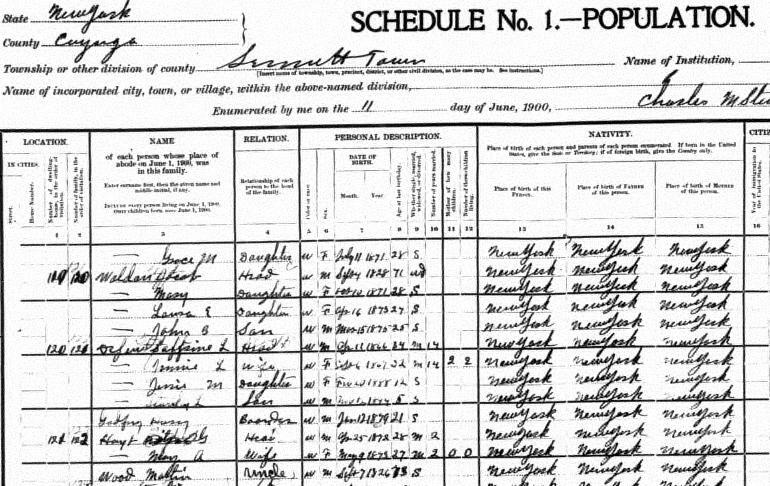 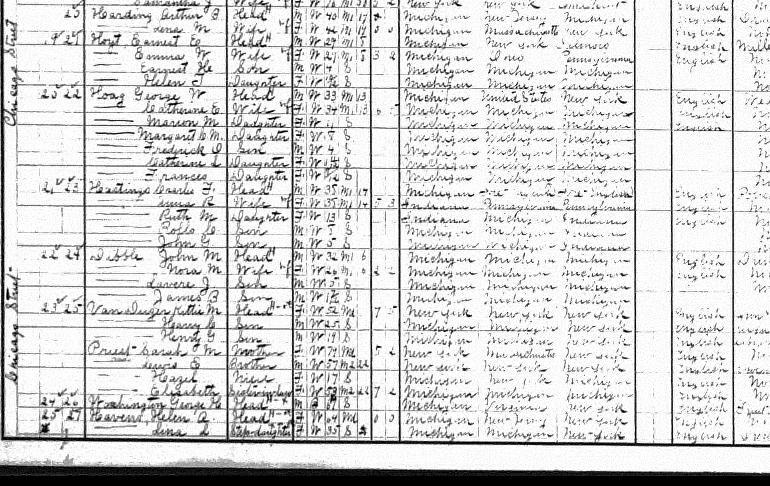 T. Hoyt 1840 Sennett Twp, / Benjamin & Family, Father Timothy Hoyt (80) 1850 Cato Twp. 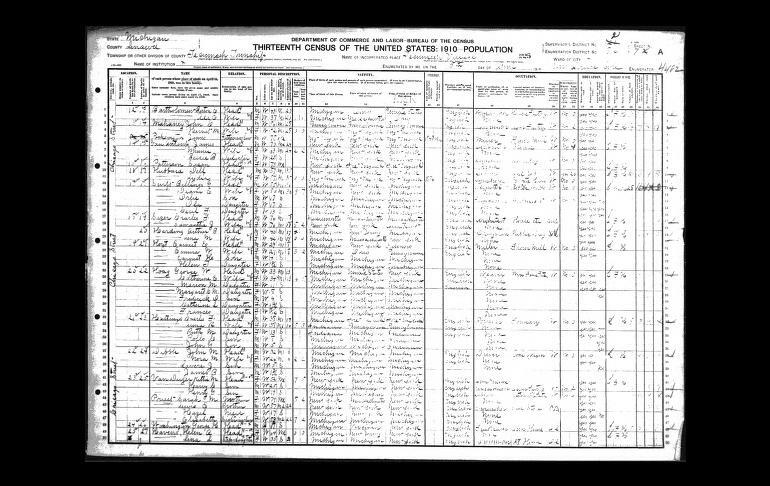 Lewis & Family, Father Timothy (85) pg 3 1855 Cato Twp. 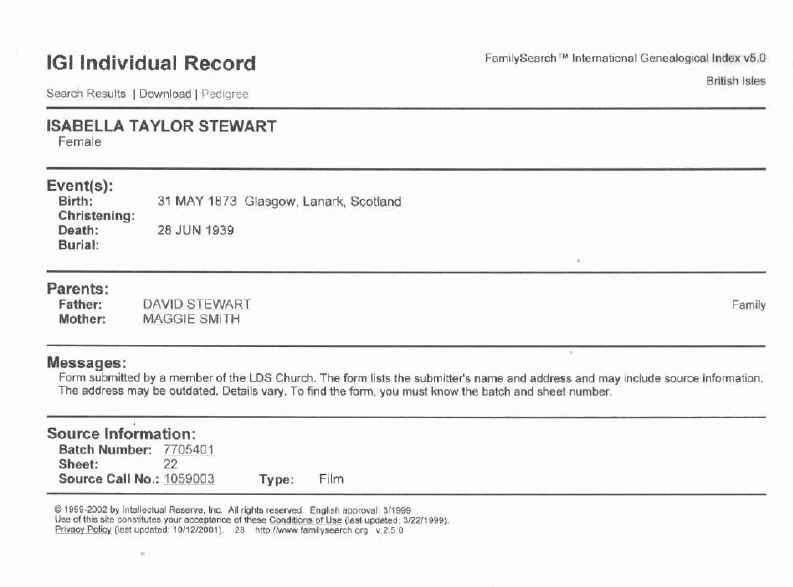 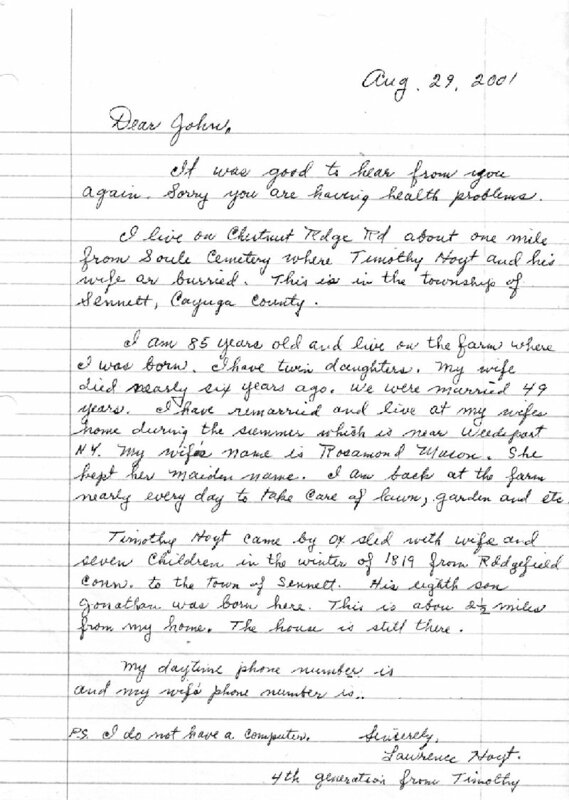 / Daniel & Family, Father Timothy (90) pg4 1860 Sennett Twp. 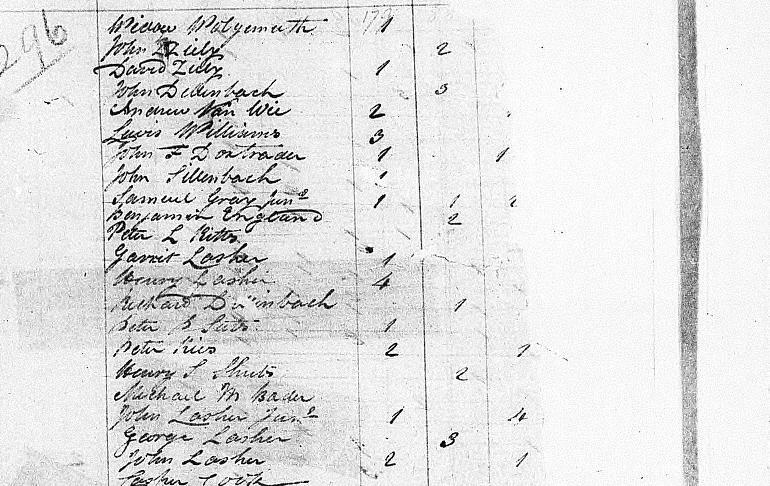 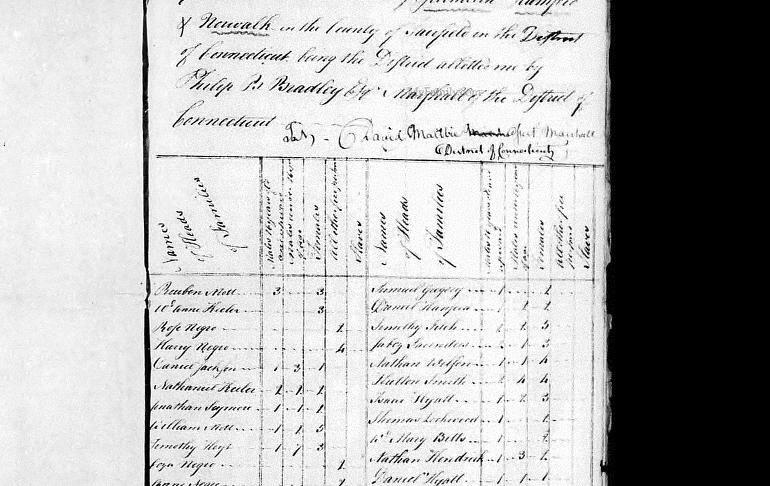 Other Hoyt Family Members in Cayuga Co. are; Samuel, Clark, Benjamin, Charles, Jonathan. 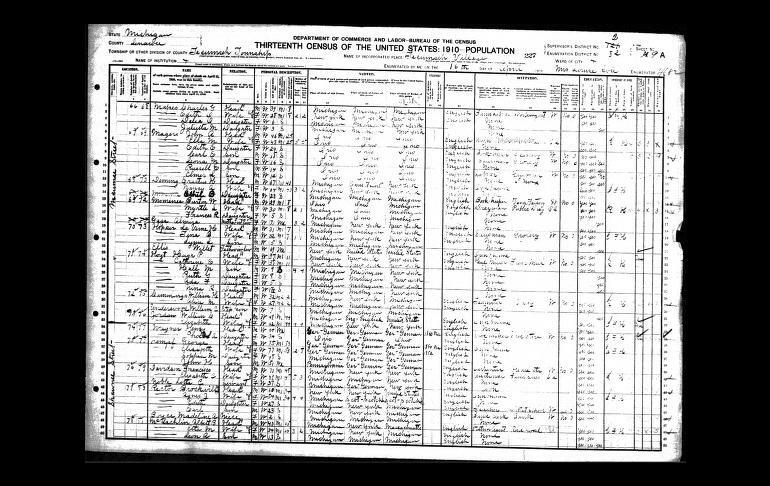 OHSenecaCoLoudenTwp1850Pg146(73B)-1860Pg363B)uscensus-Henry-Jacob-Mary Magdalene-Jacob-Nicolas-Andrew-EveM(Mary), Phillip, CatherineFell (rtf) Henry Jacob Fell, Sr.
OHSenecaCoLoudenTwp1870uscensusPg12-Jacob-Catharine-Phillip-Christopher-Elizabeth-Eli Fell (rtf) Henry Jacob Fell, Sr.
Frederick-Mary-HenryFell (txt) Henry Jacob Fell, Sr.
Jacob-Elizabeth1/PheheE2-William-MaryEllen-EmilyJane-EgbertErven-AlstonA-RubyM-HoardR Fell (rtf) Henry Jacob Fell, Jr.
1870: CENSUS: Jesse Stone - residing in Olive Twp, Clinton County on Page 565R - copy unreadable. 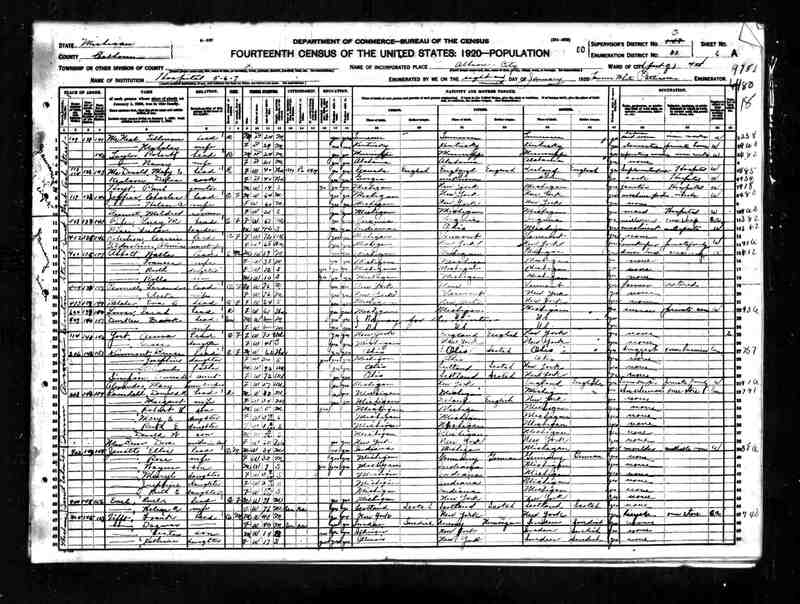 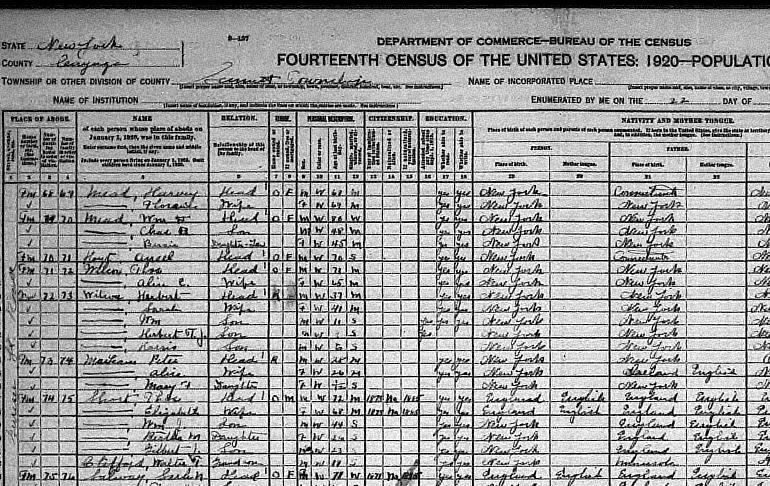 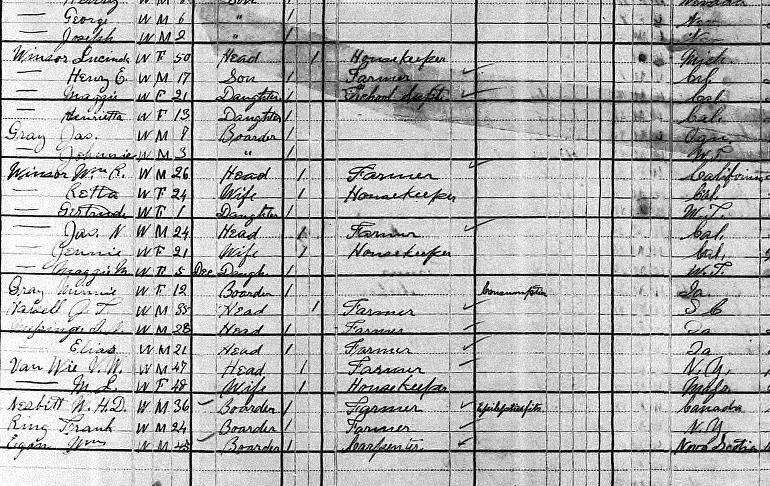 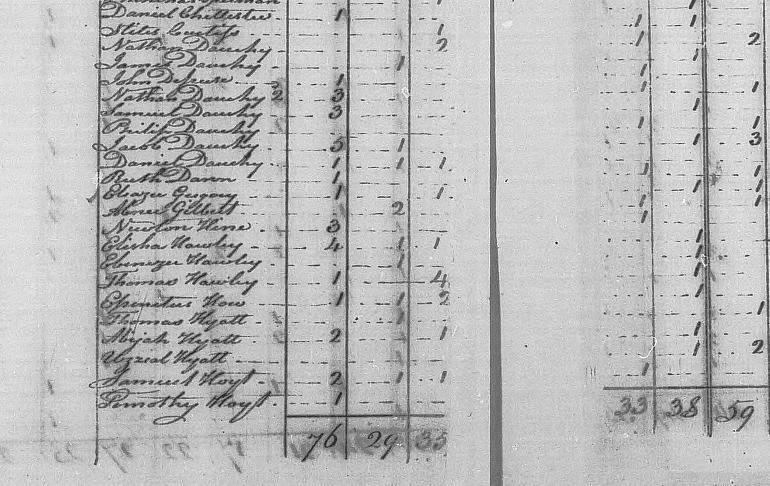 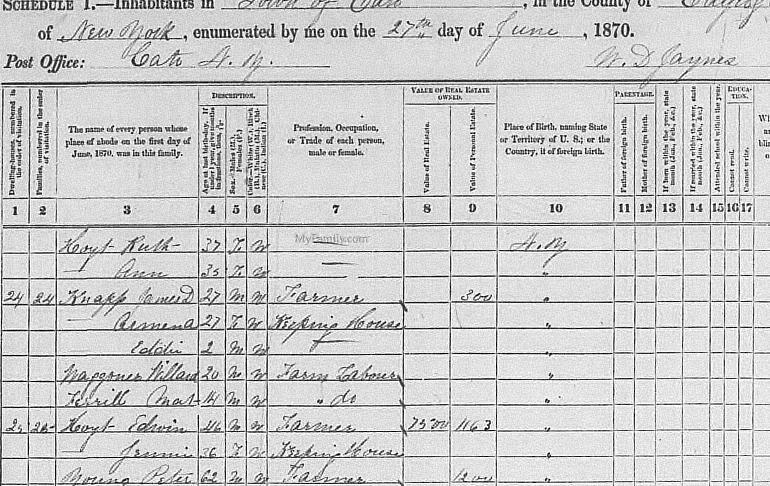 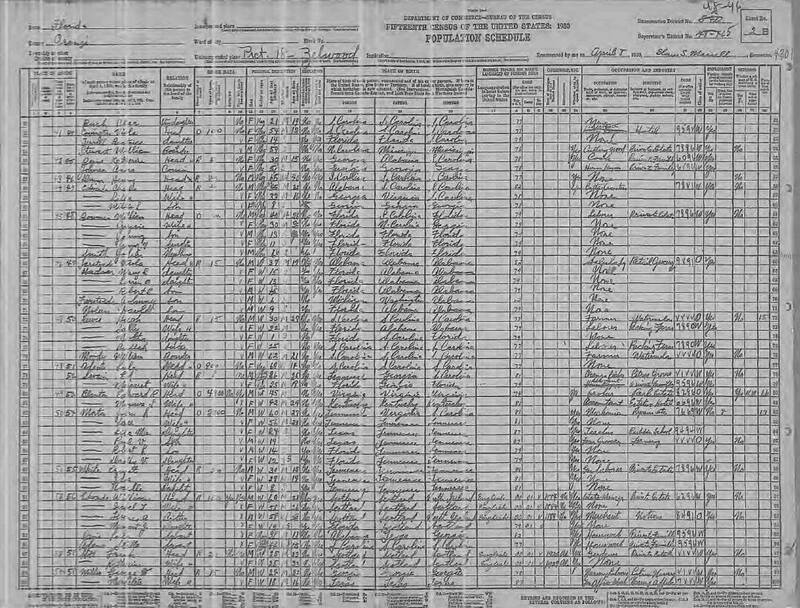 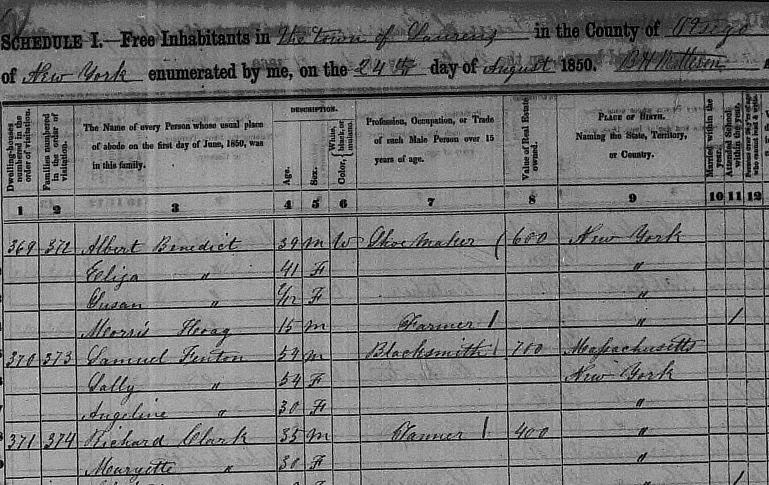 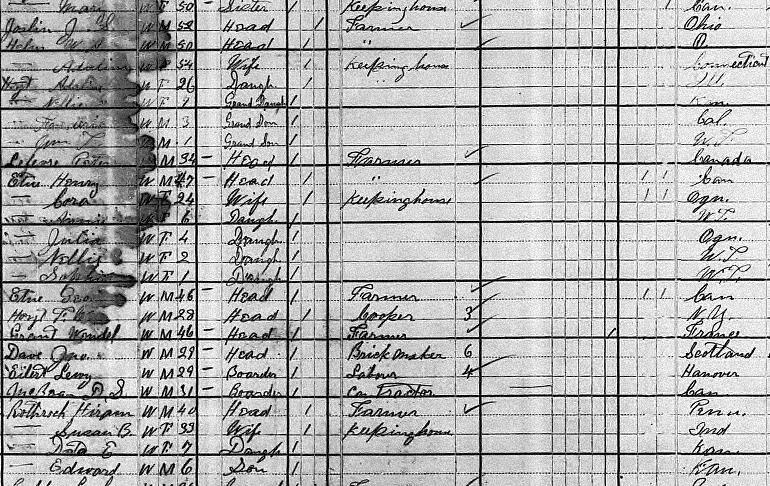 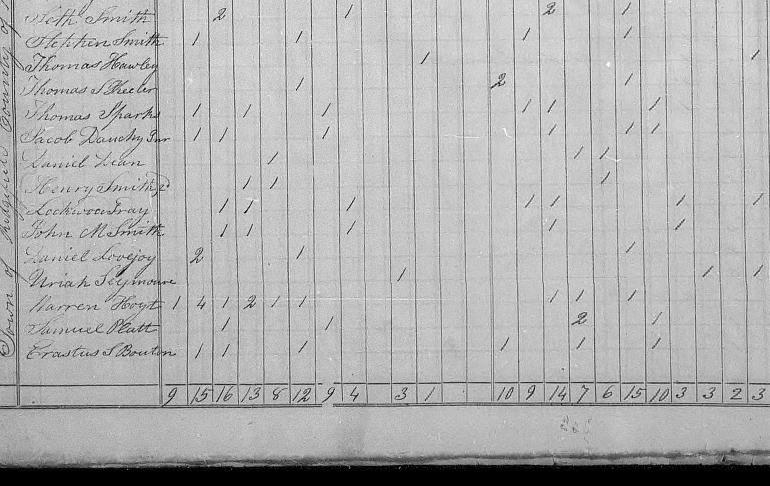 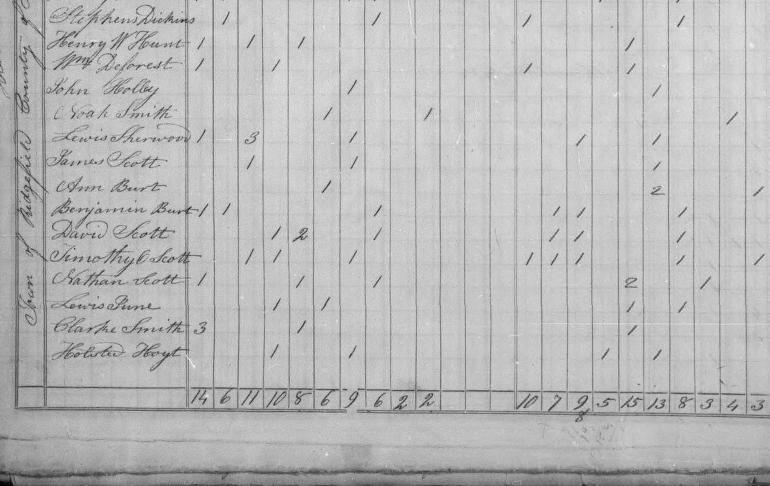 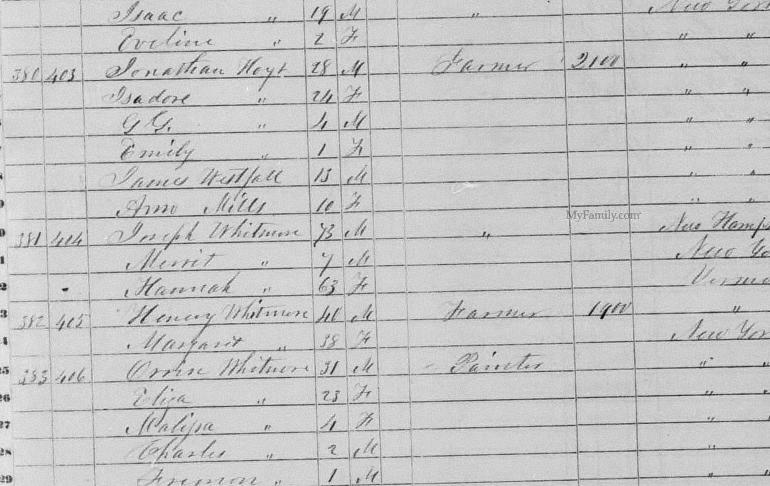 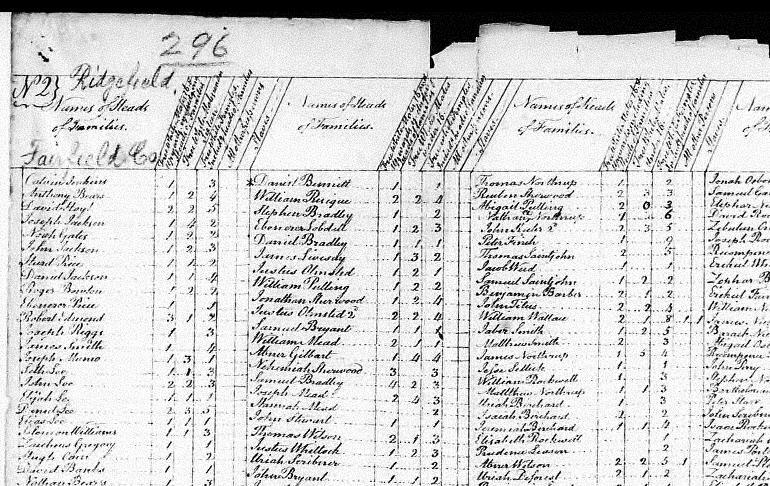 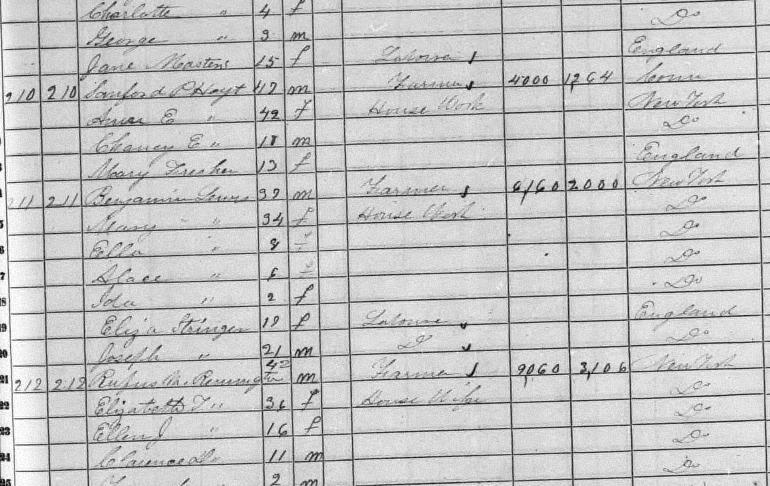 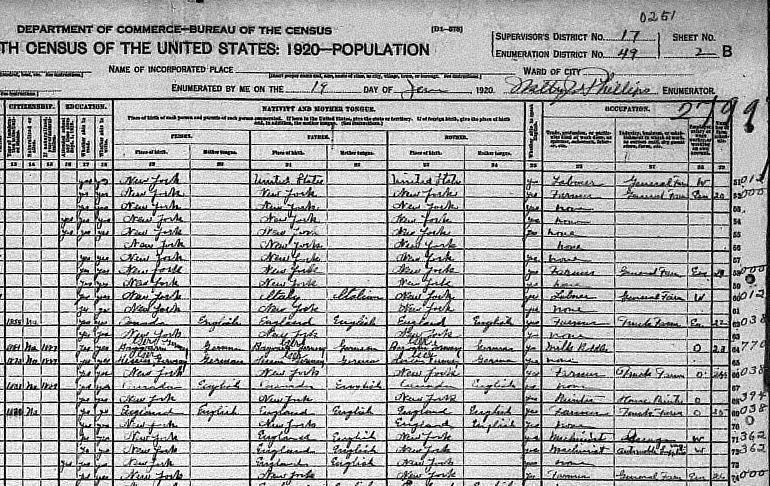 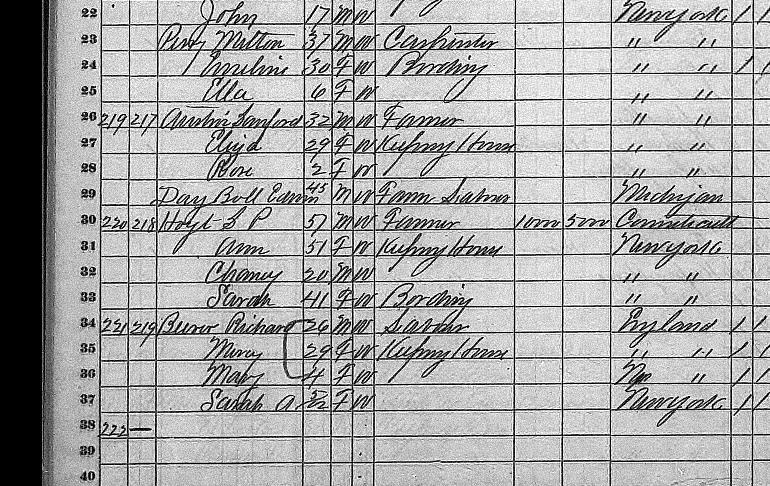 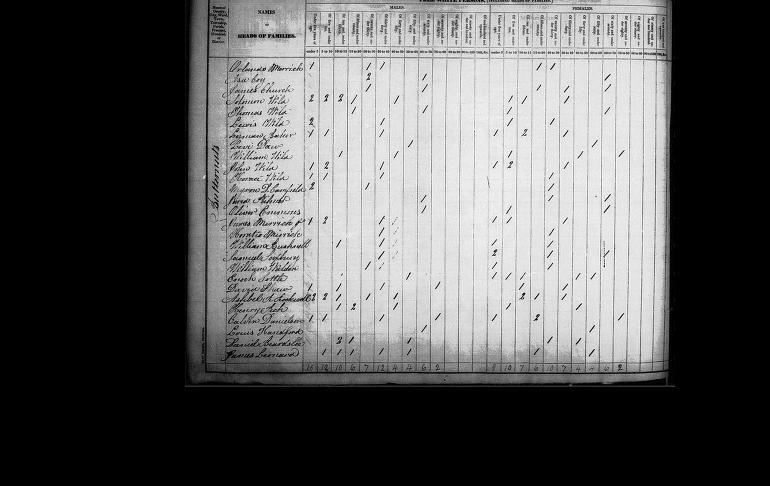 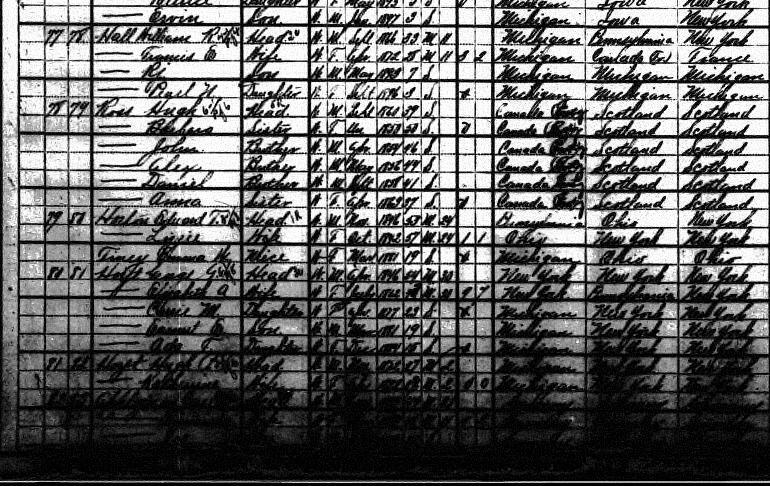 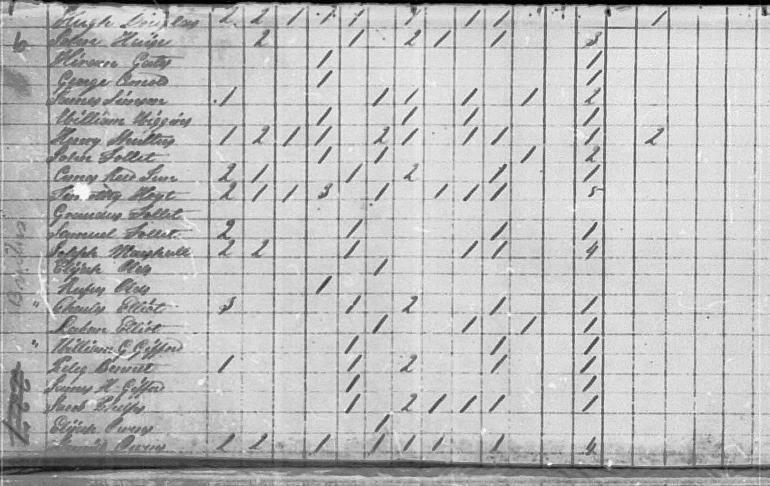 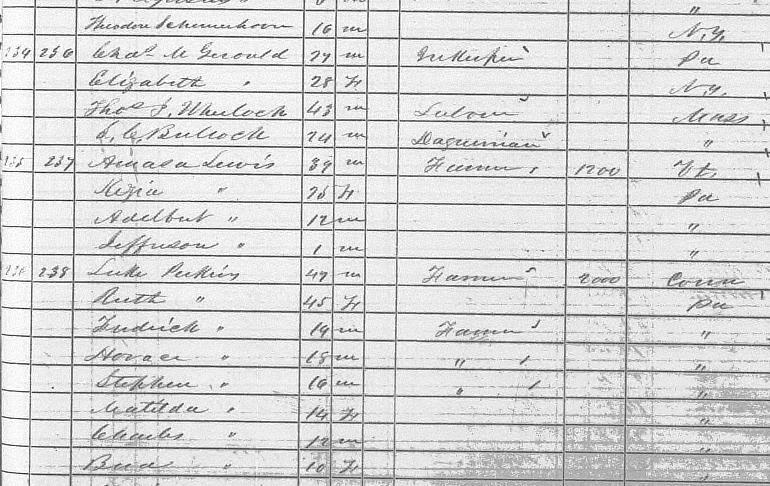 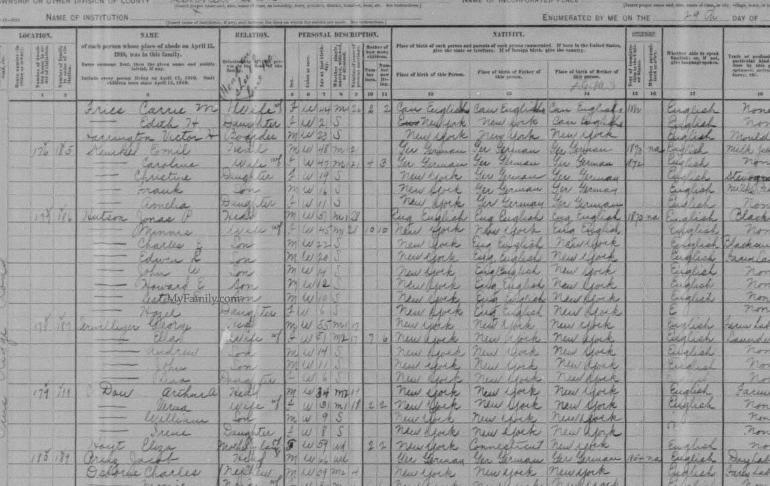 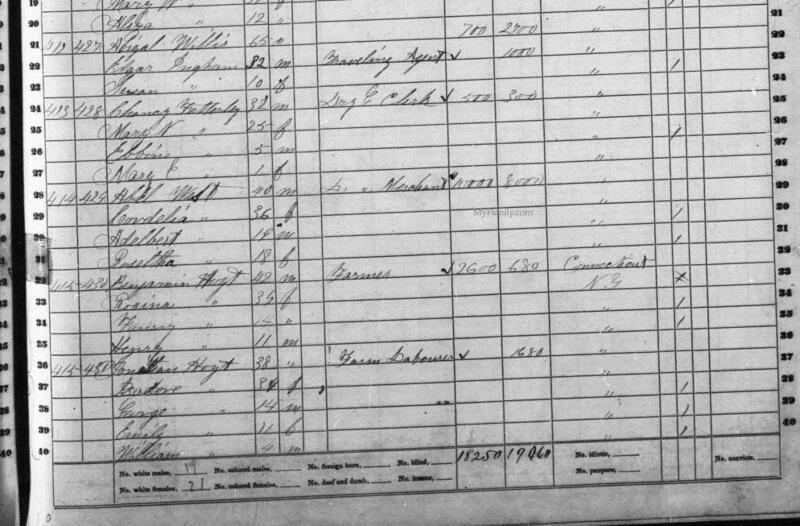 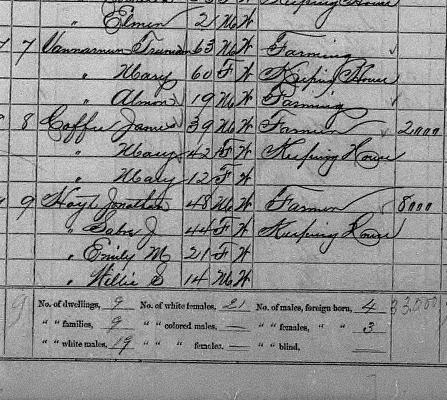 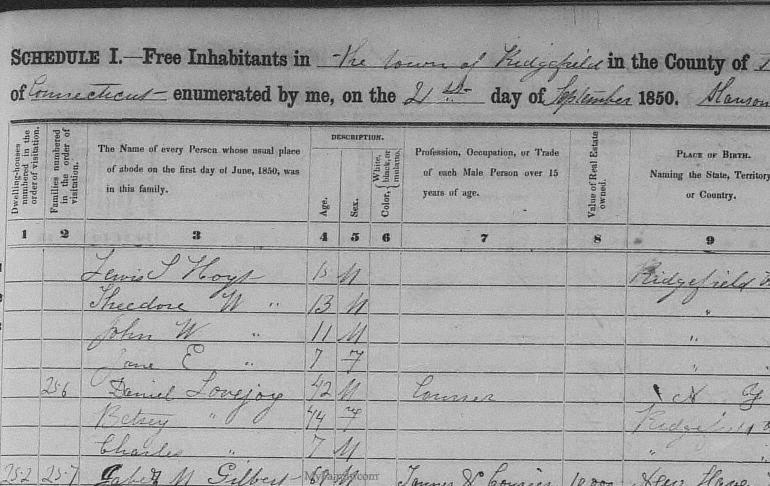 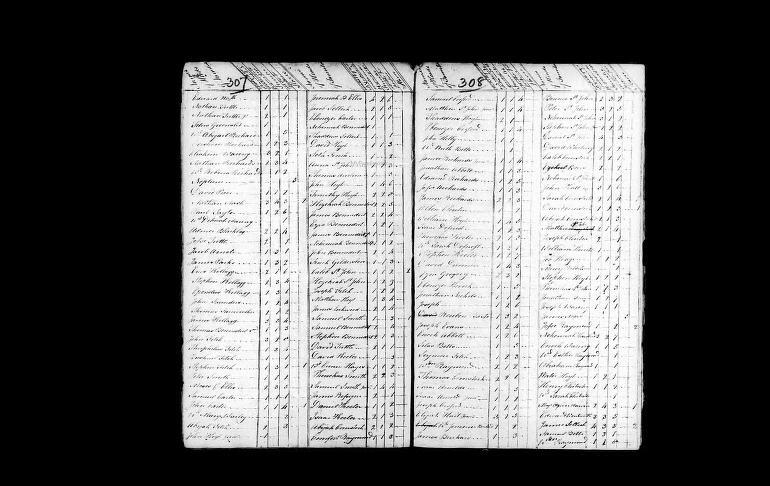 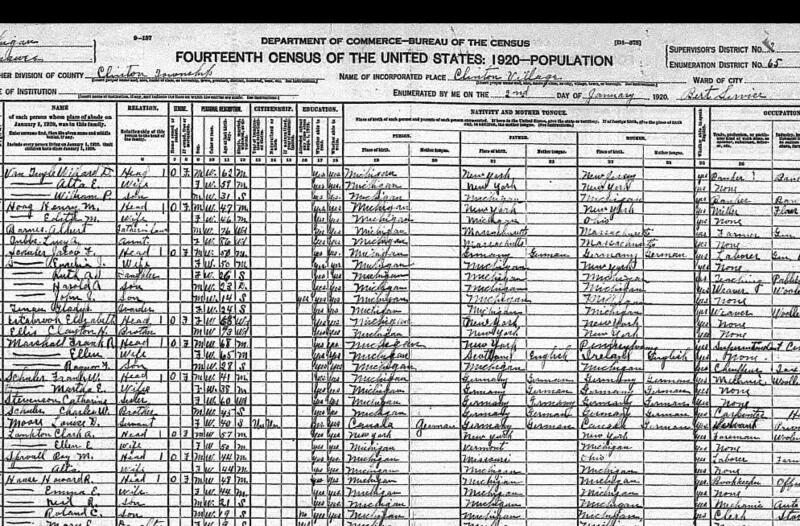 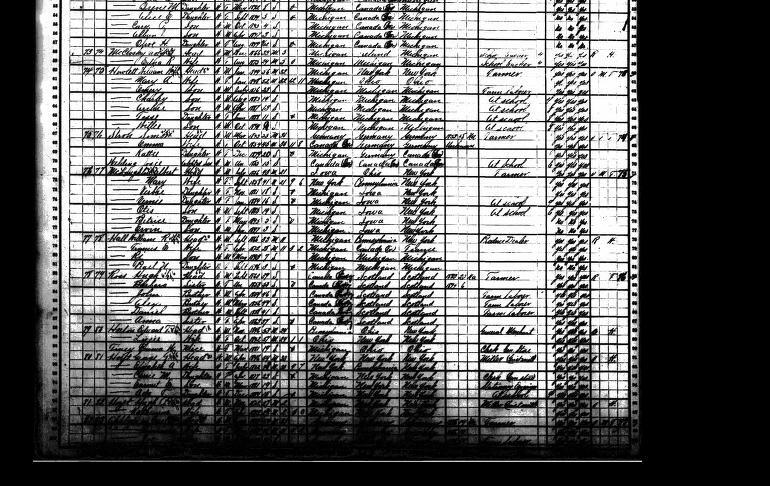 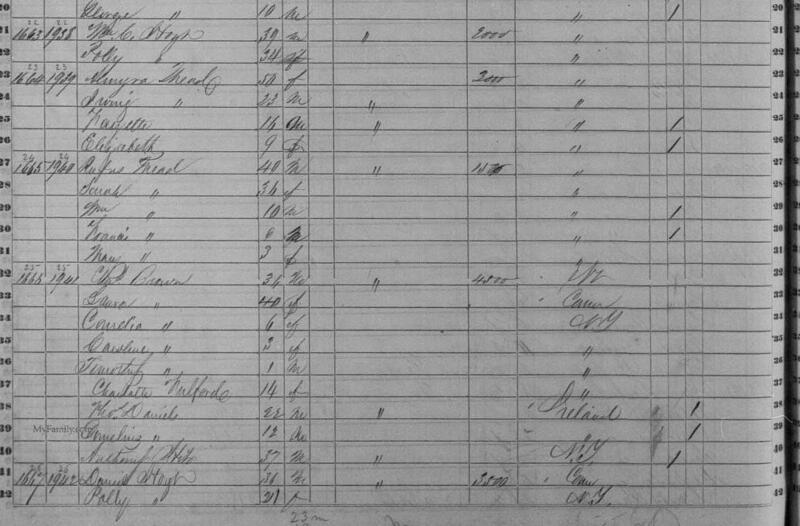 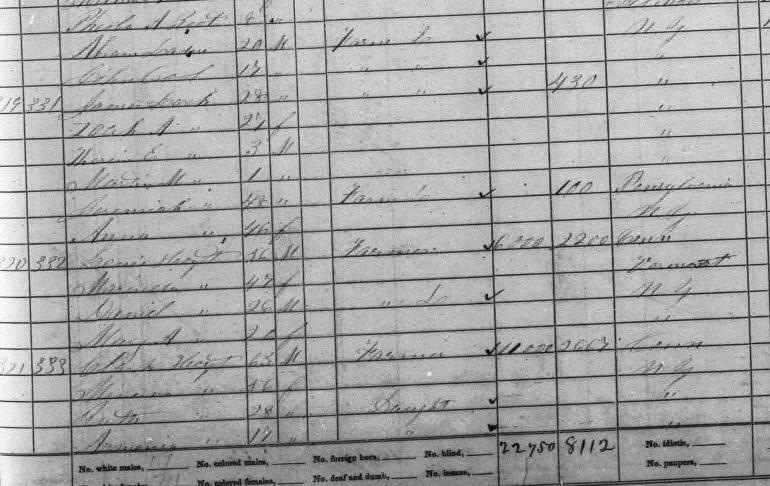 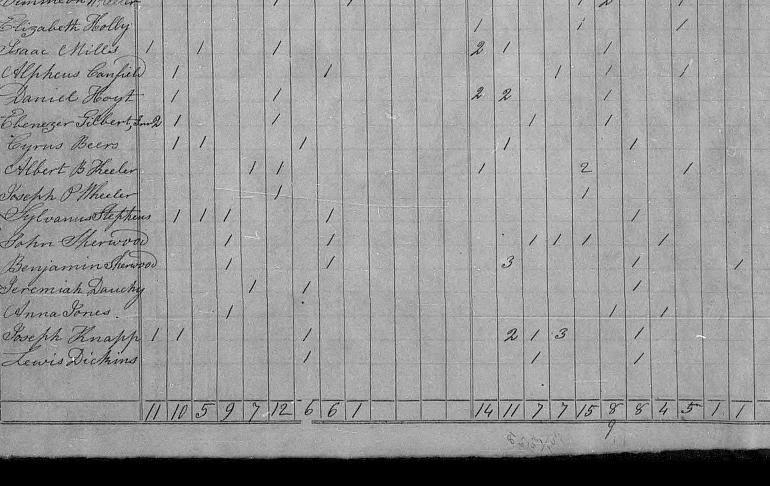 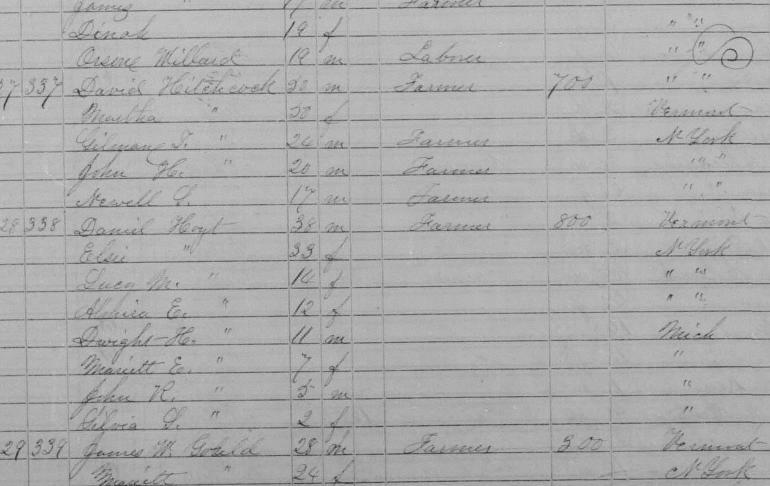 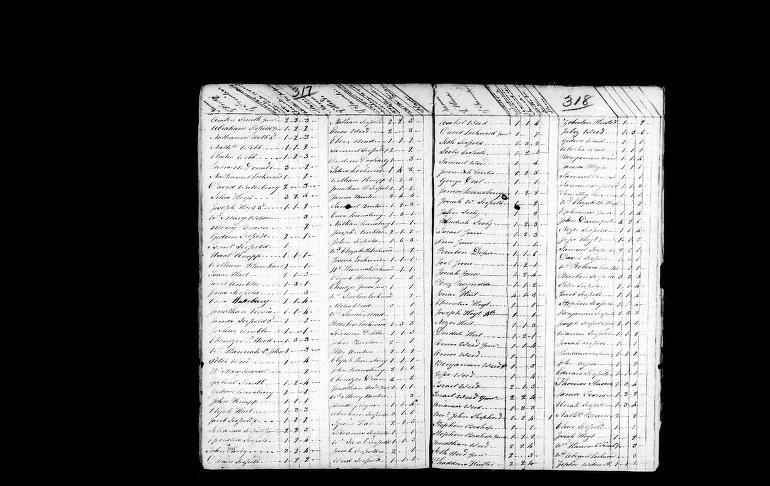 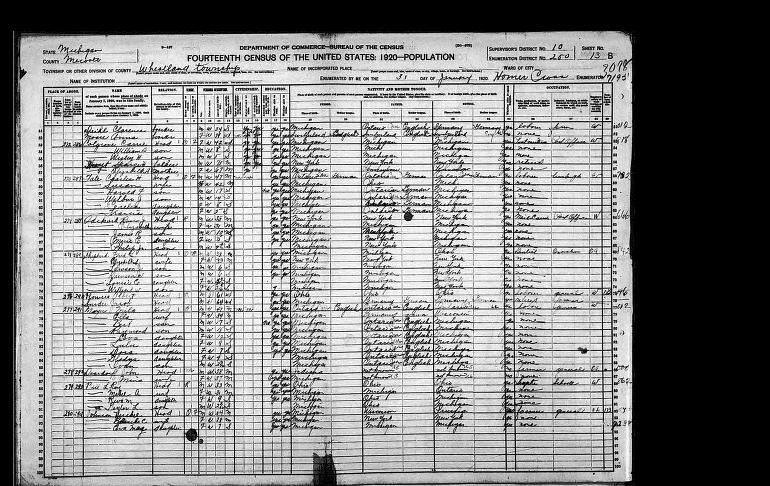 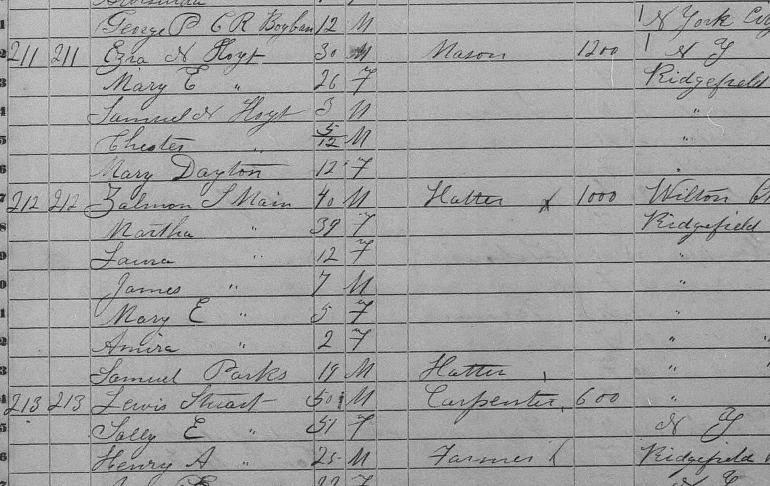 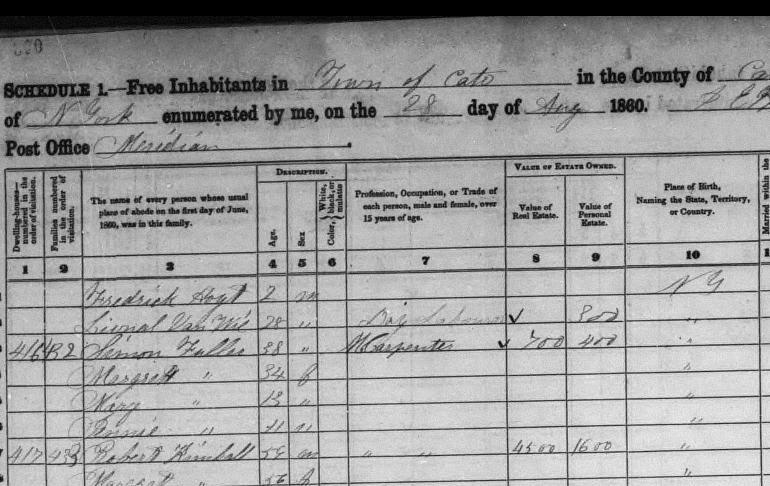 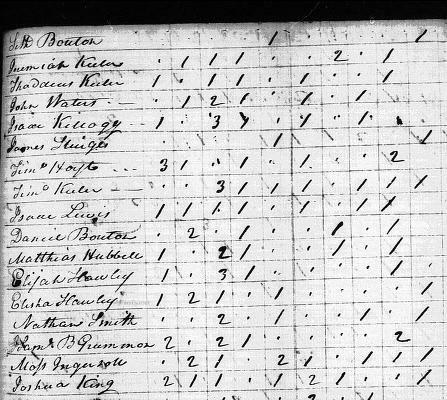 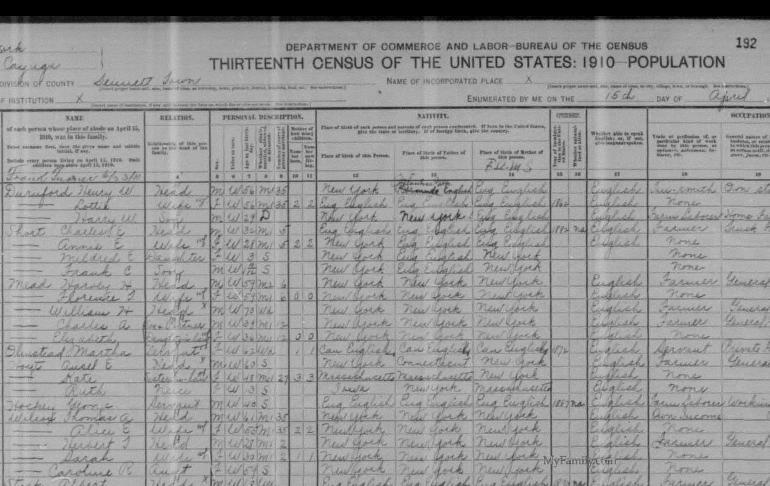 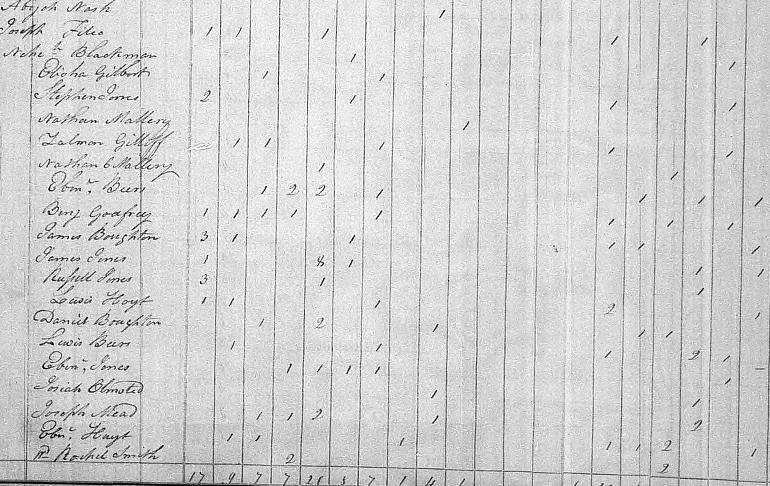 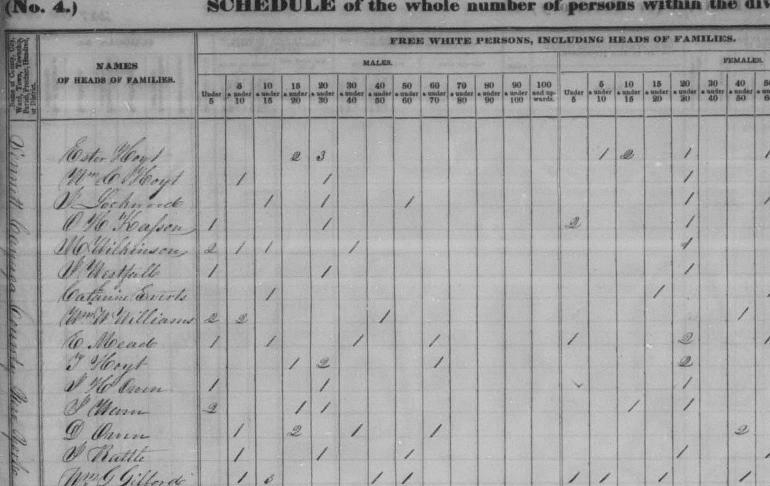 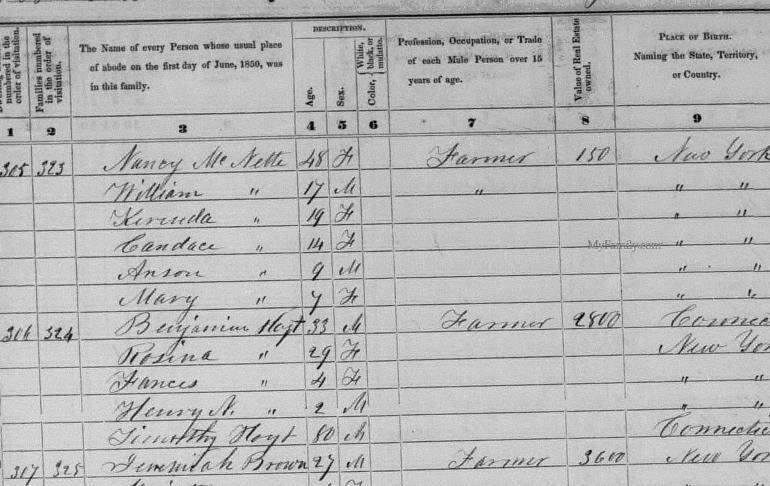 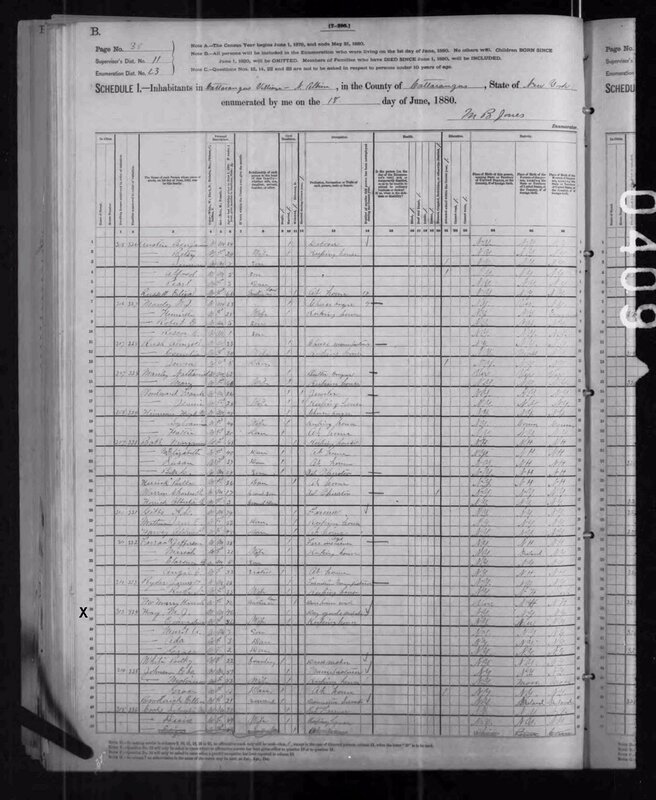 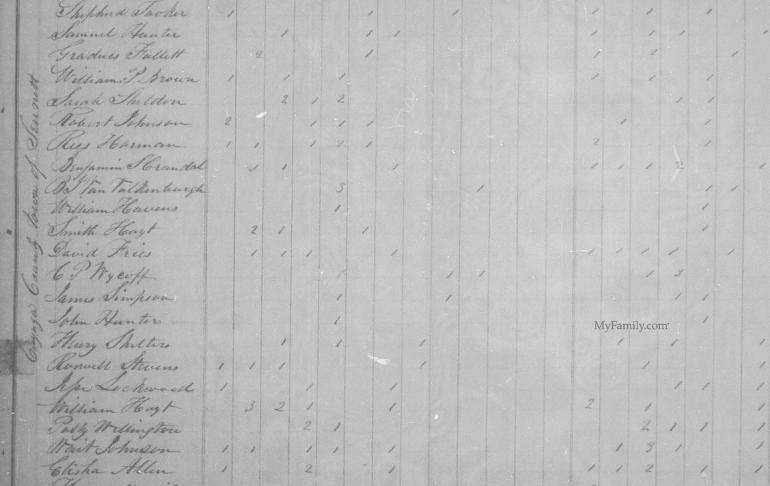 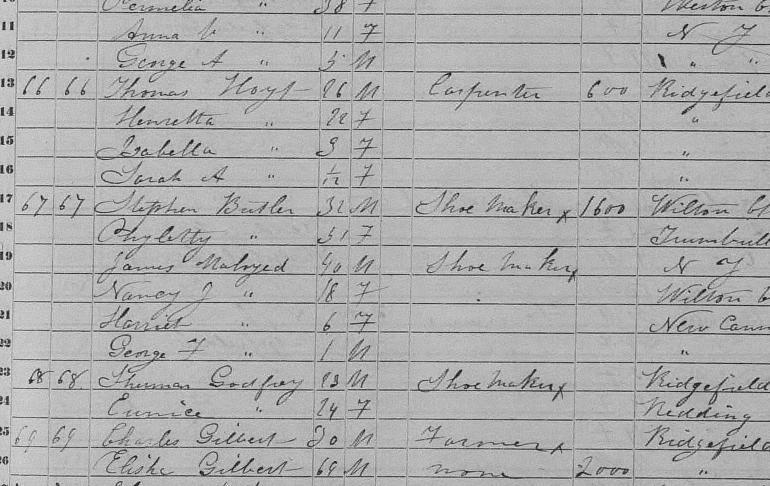 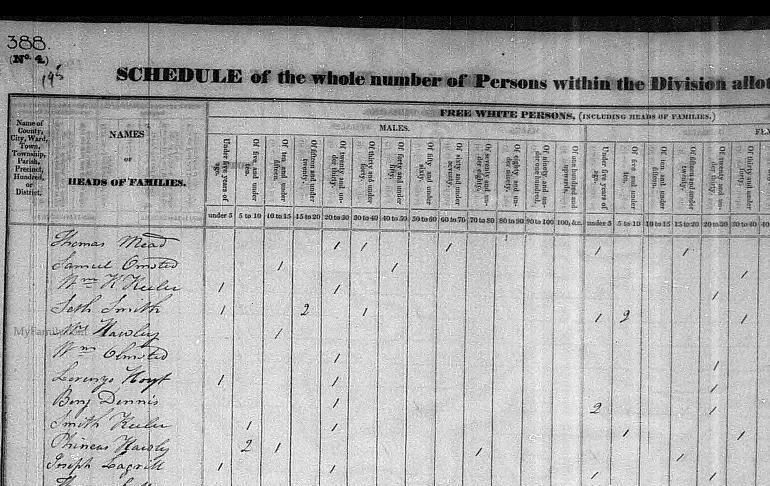 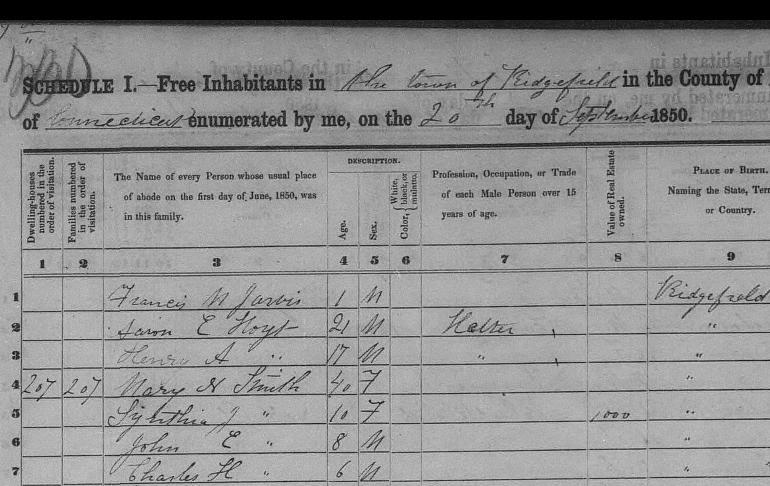 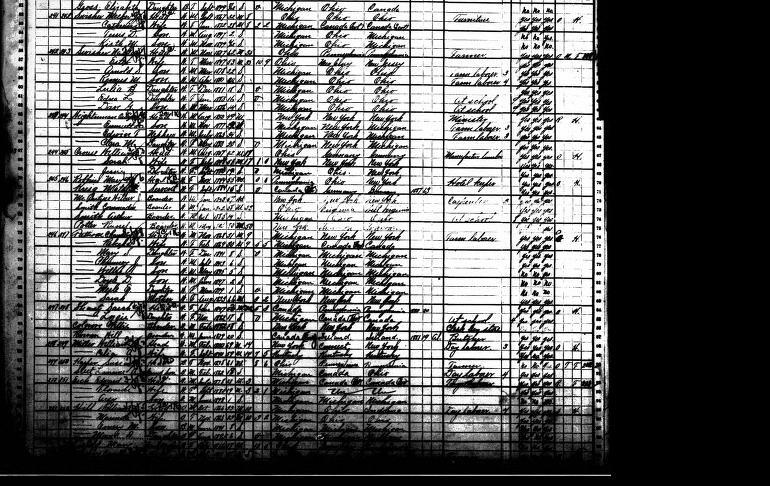 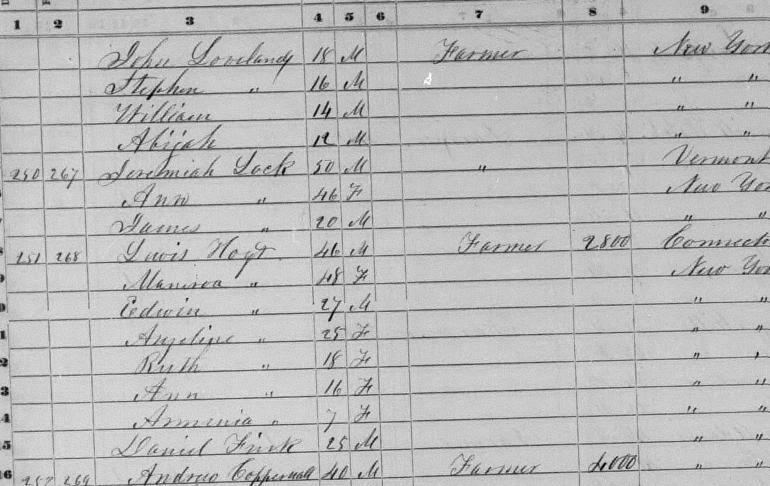 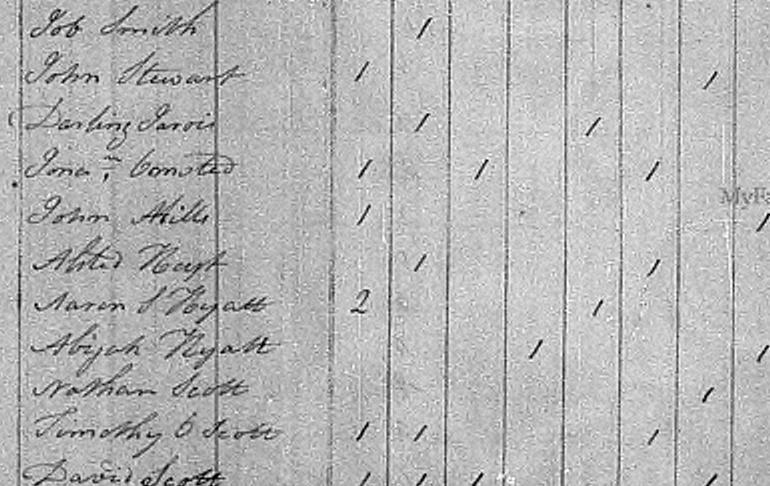 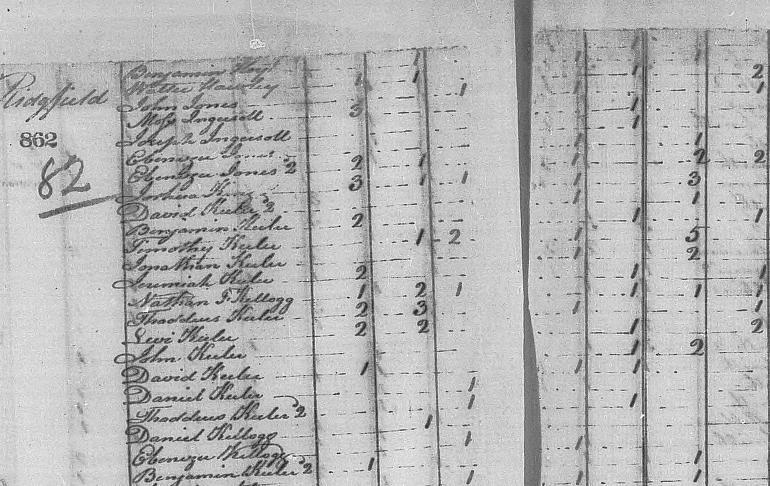 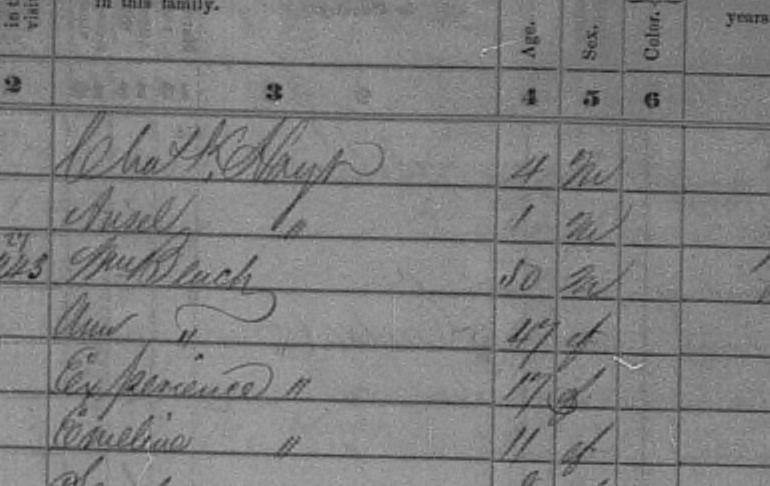 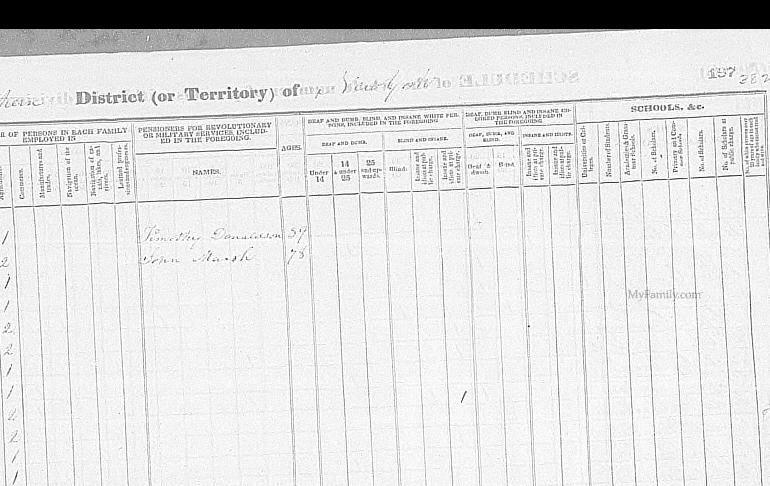 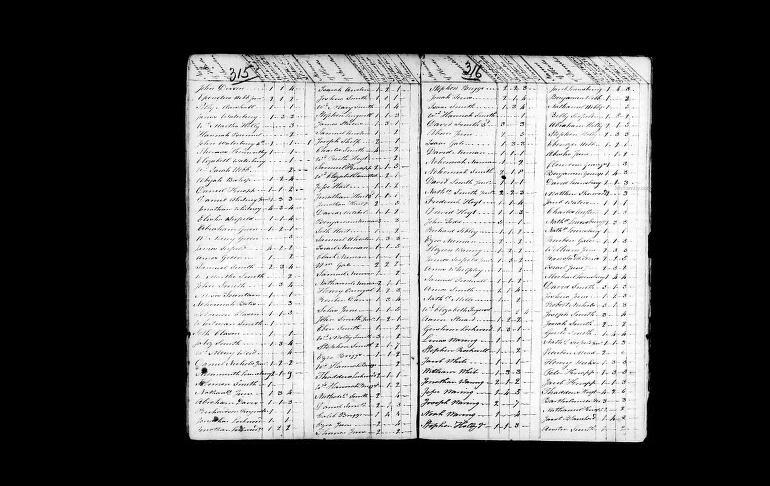 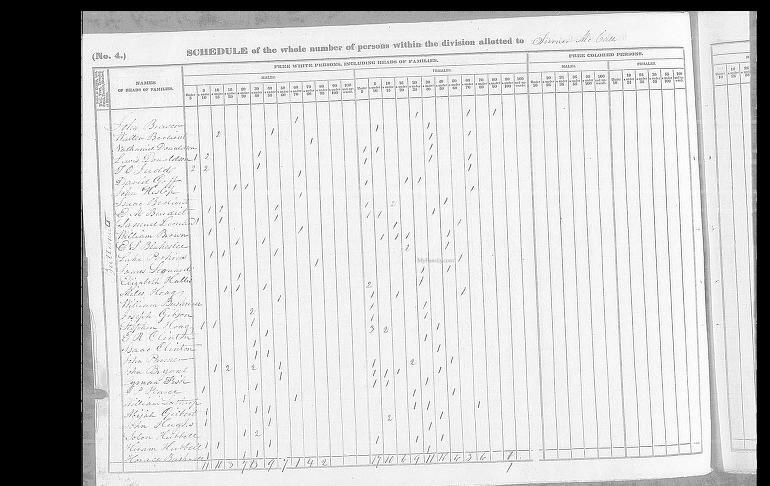 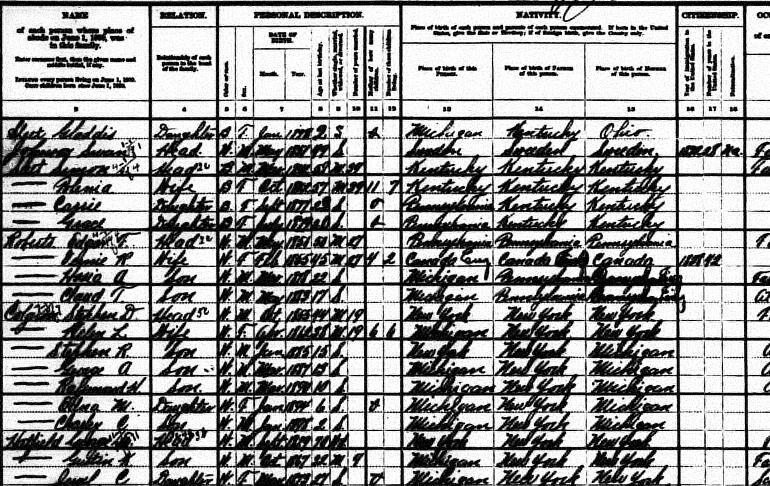 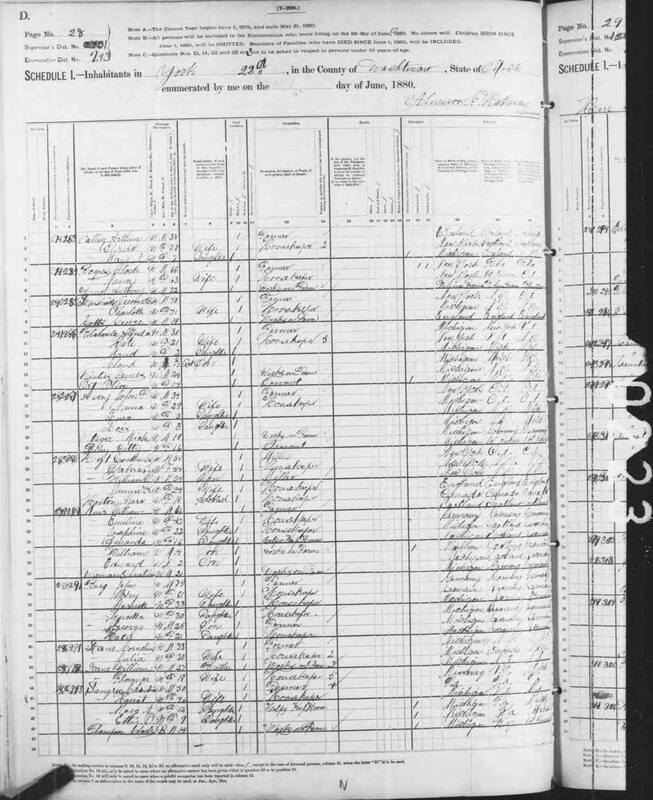 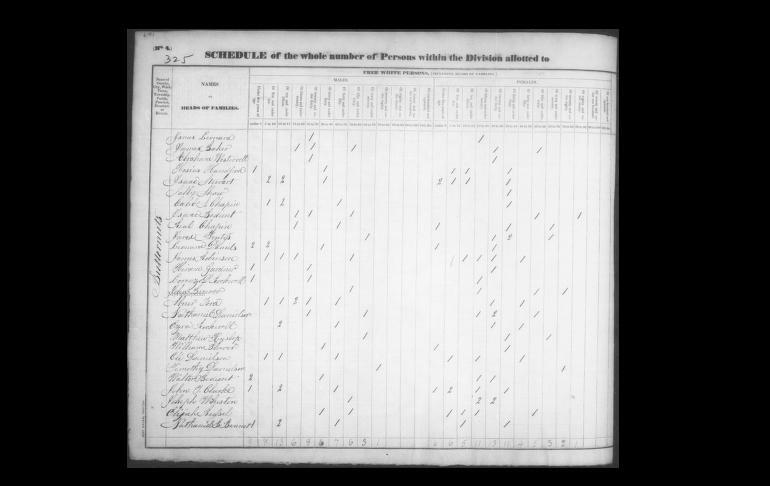 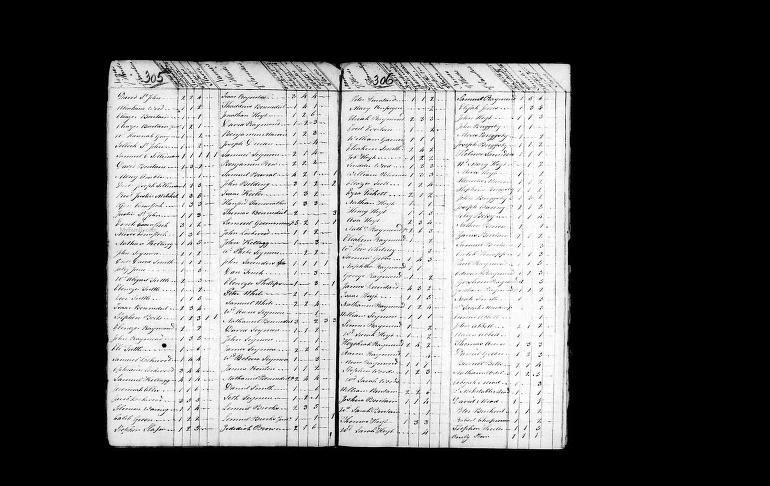 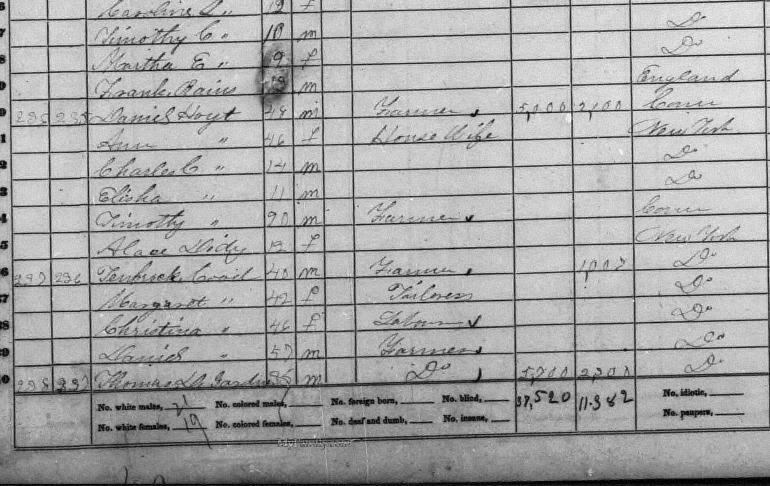 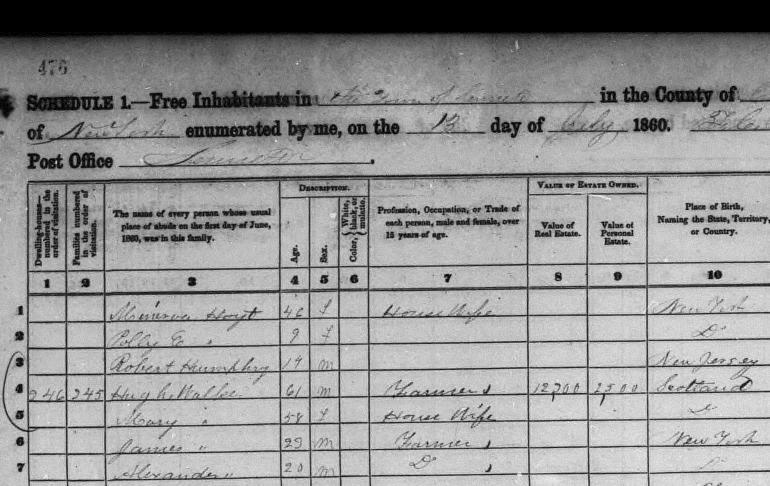 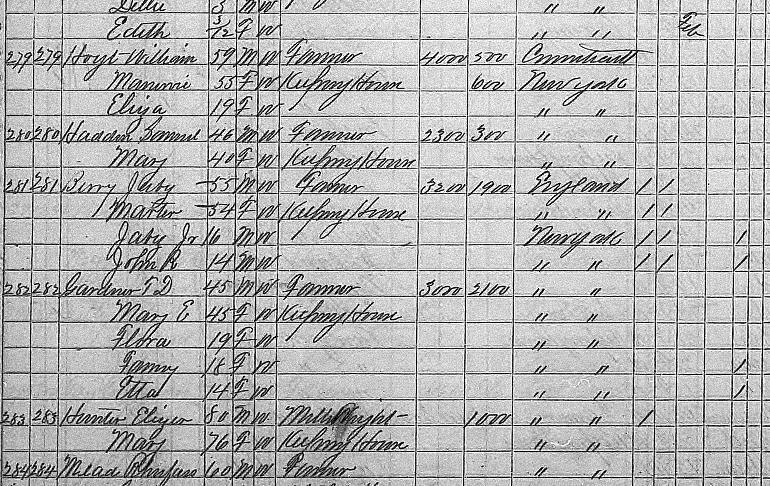 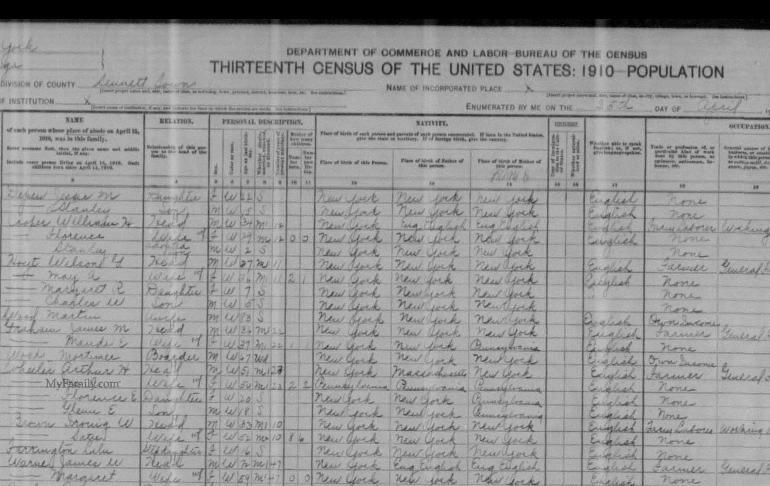 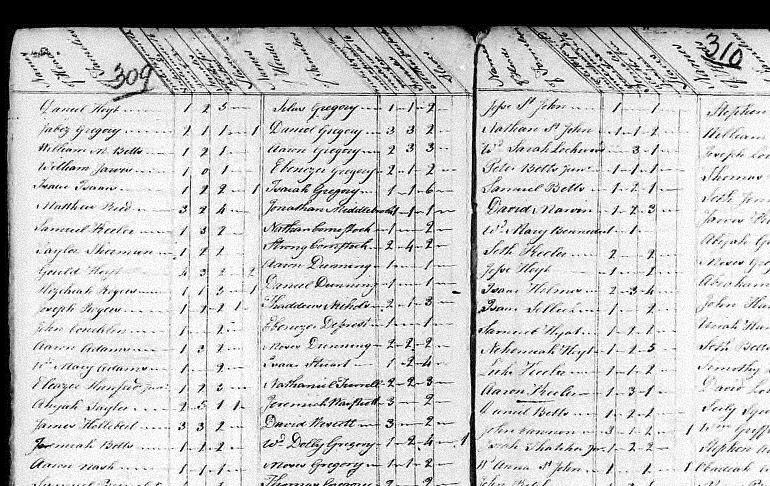 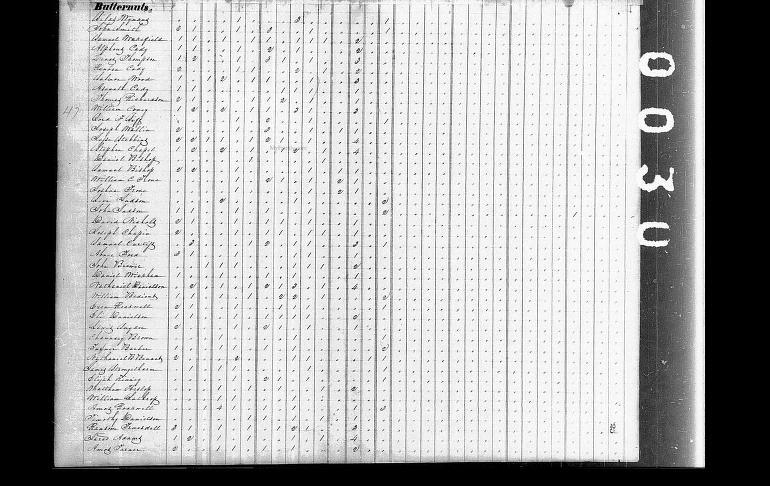 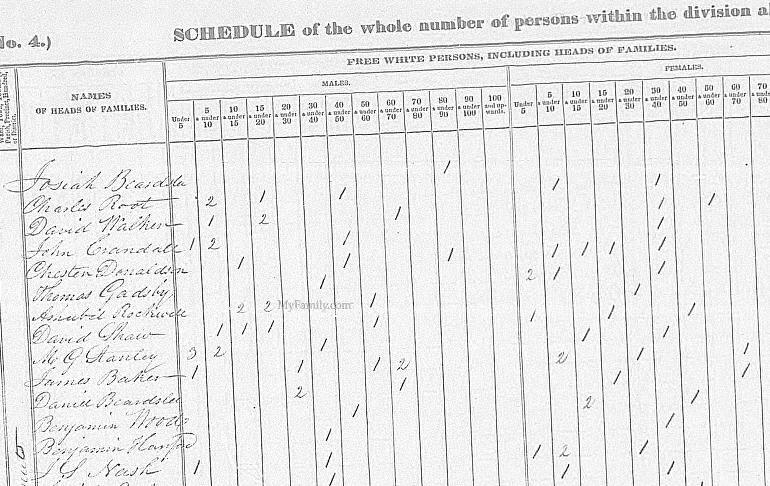 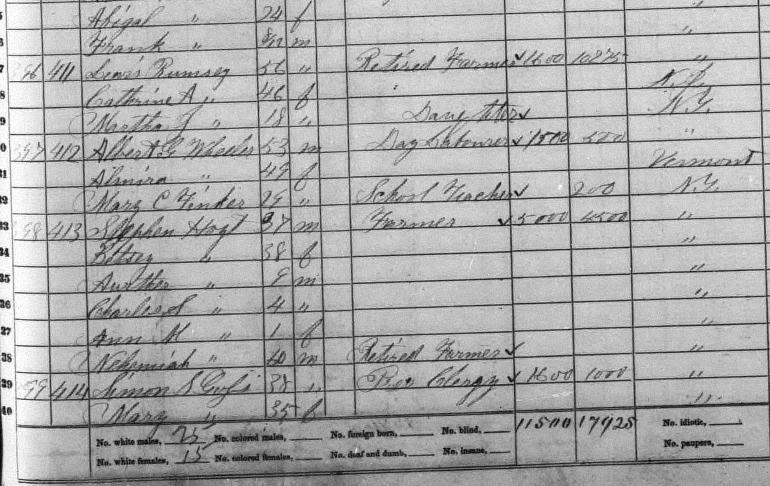 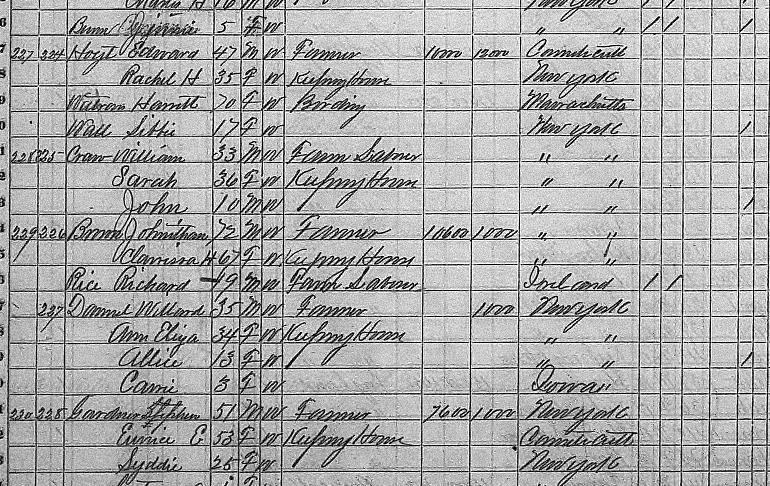 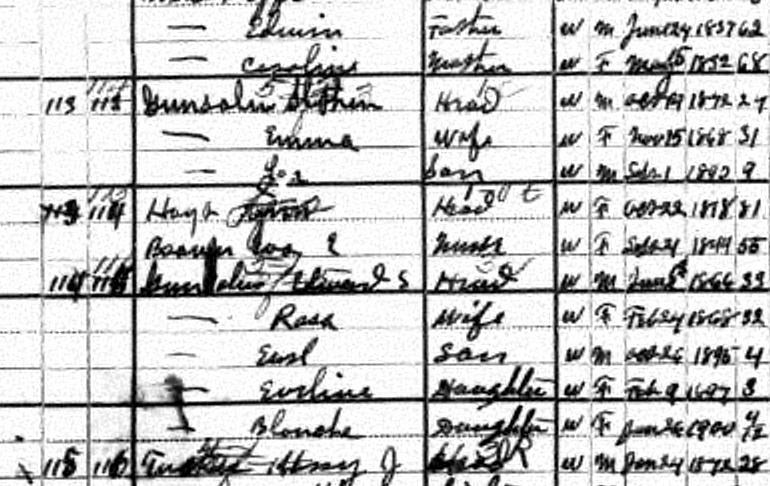 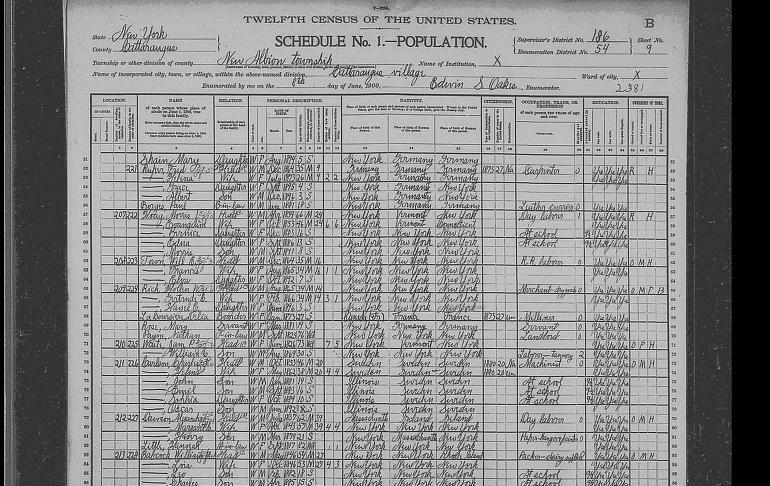 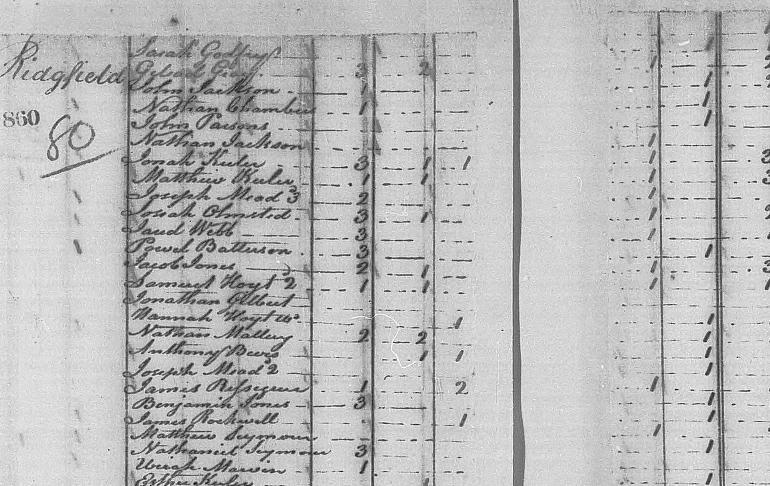 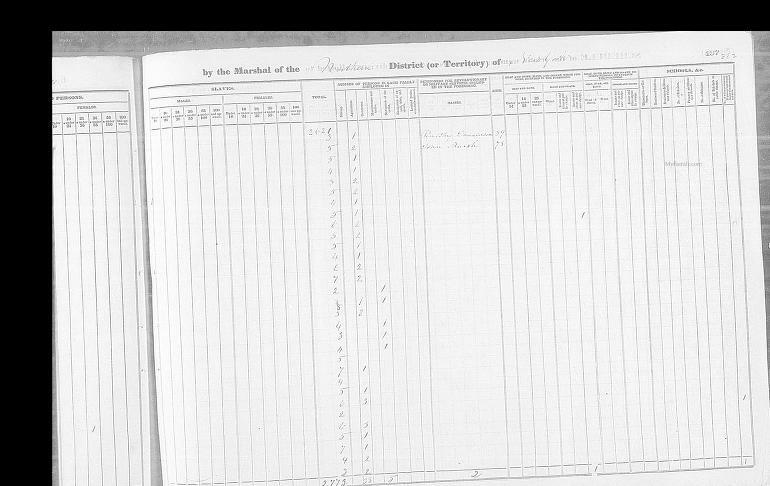 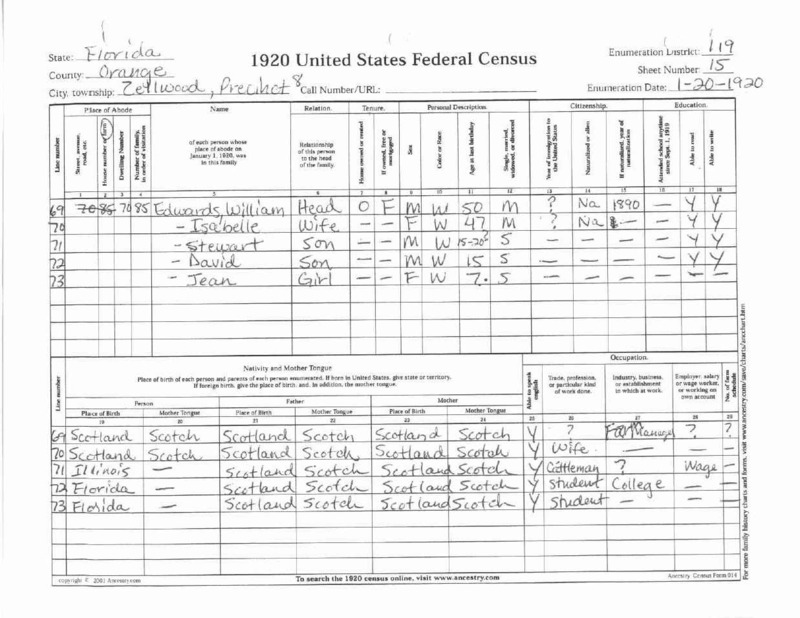 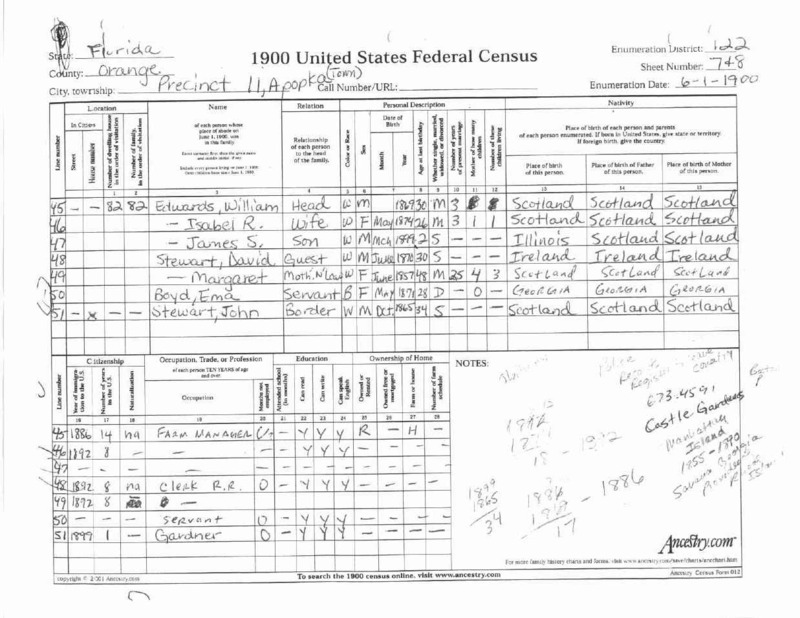 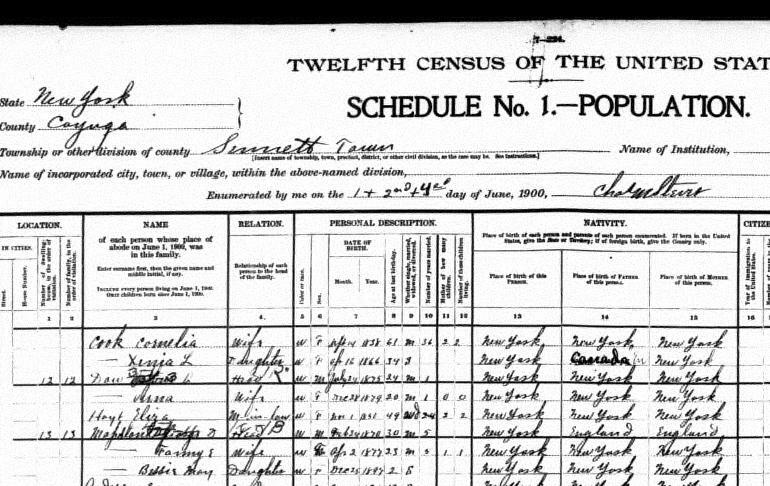 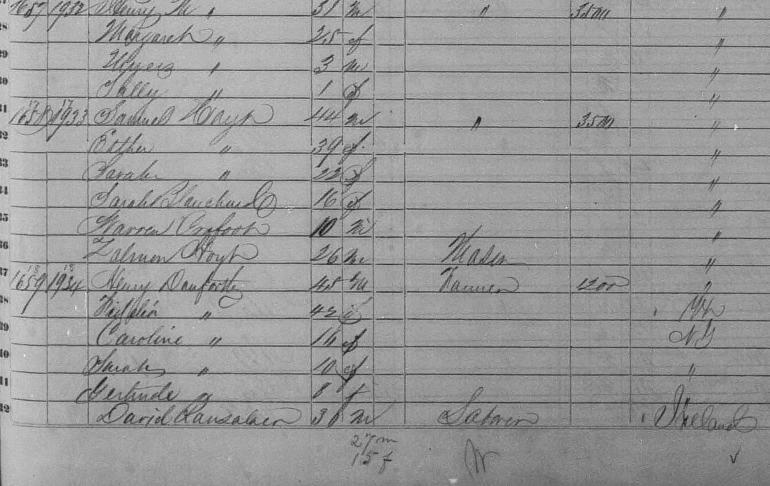 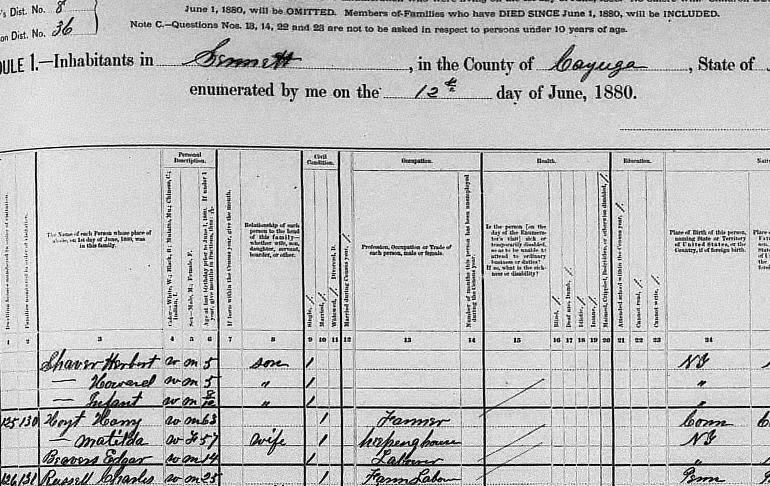 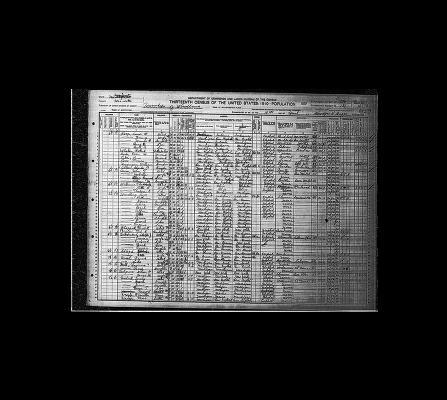 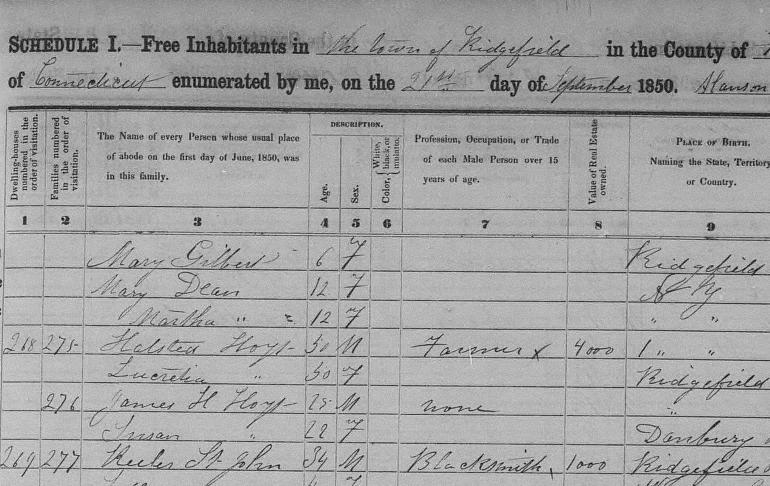 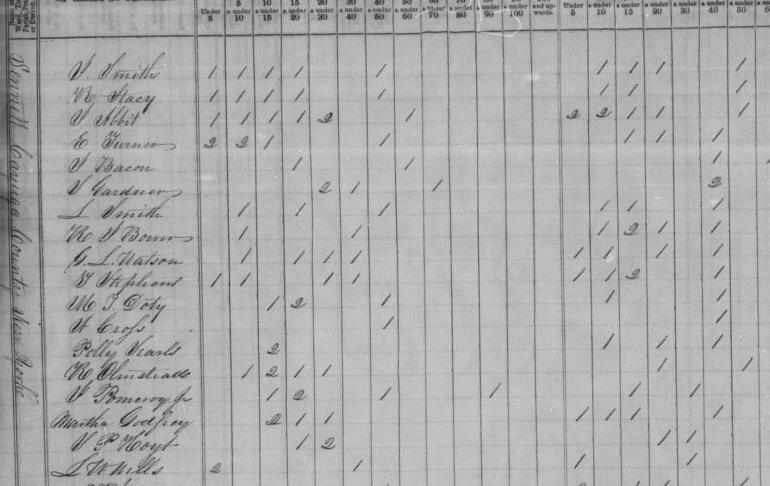 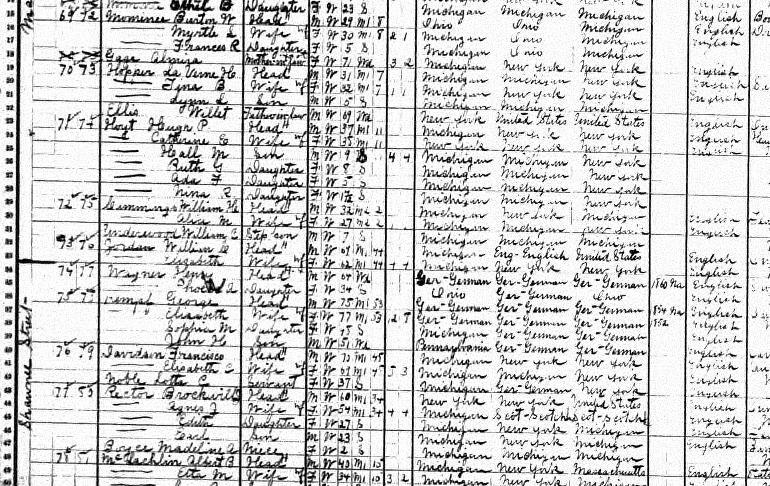 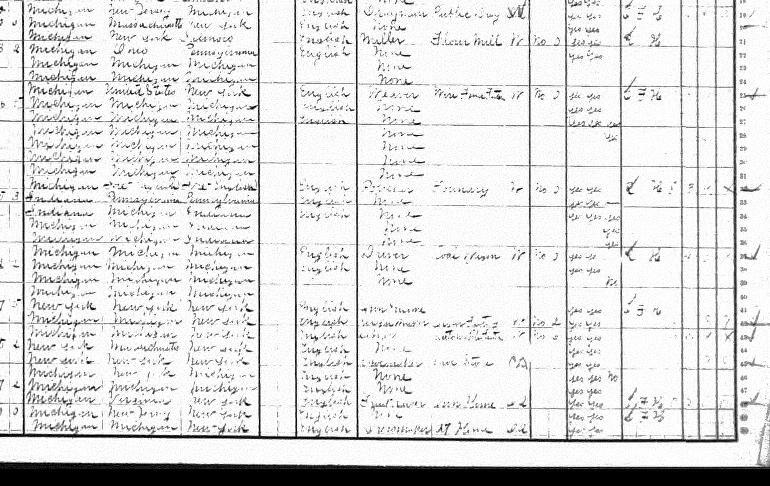 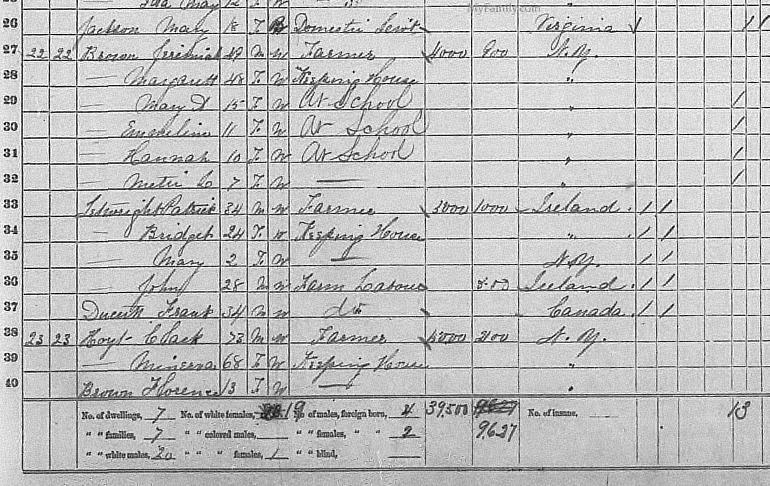 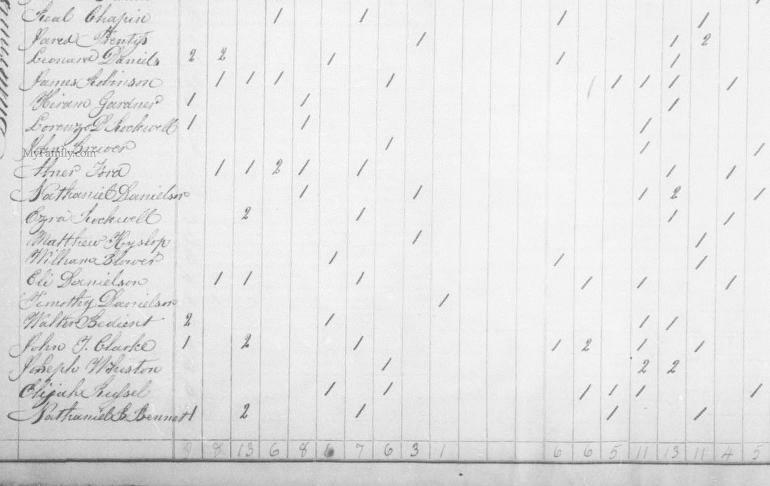 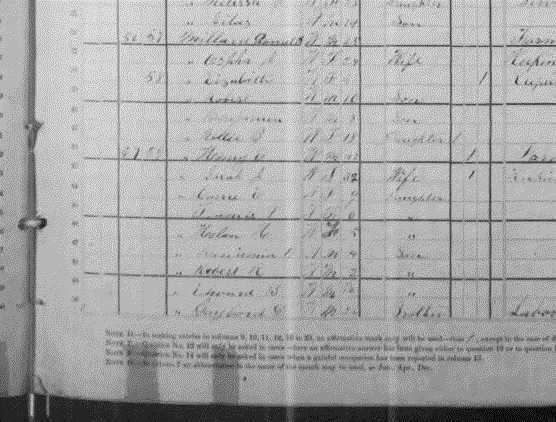 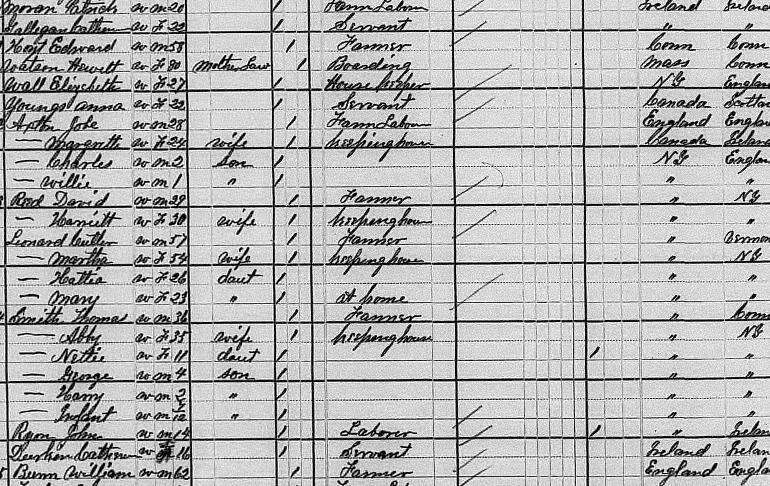 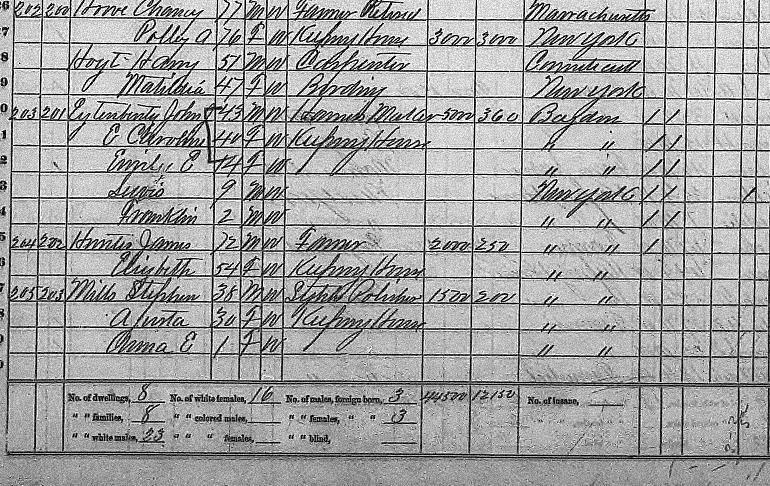 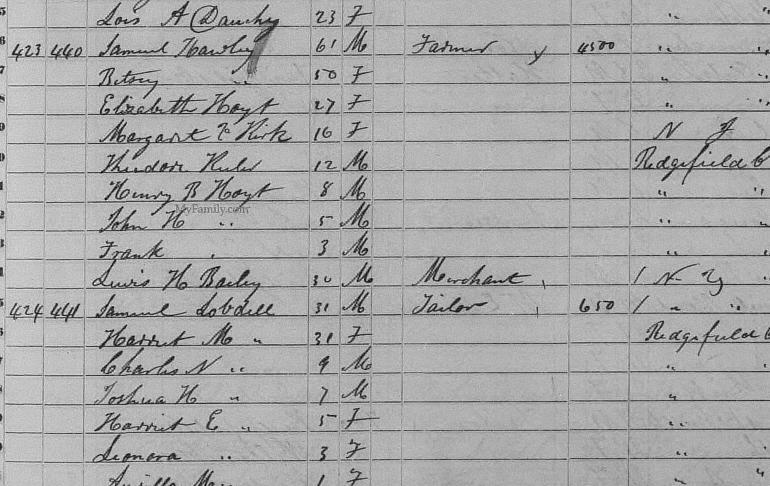 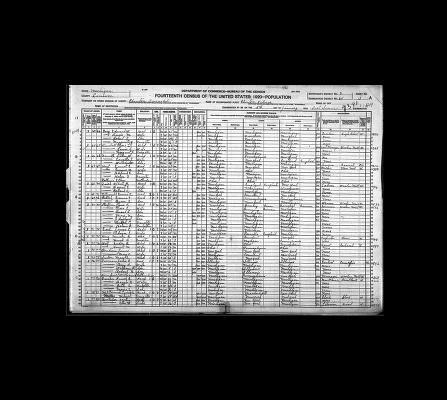 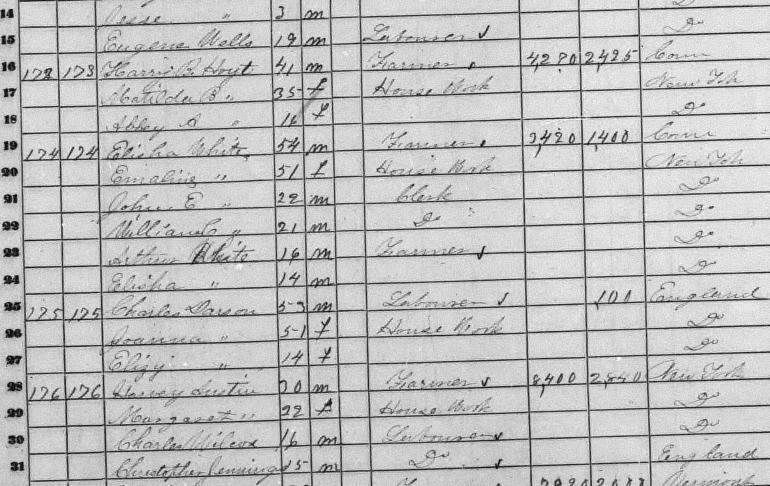 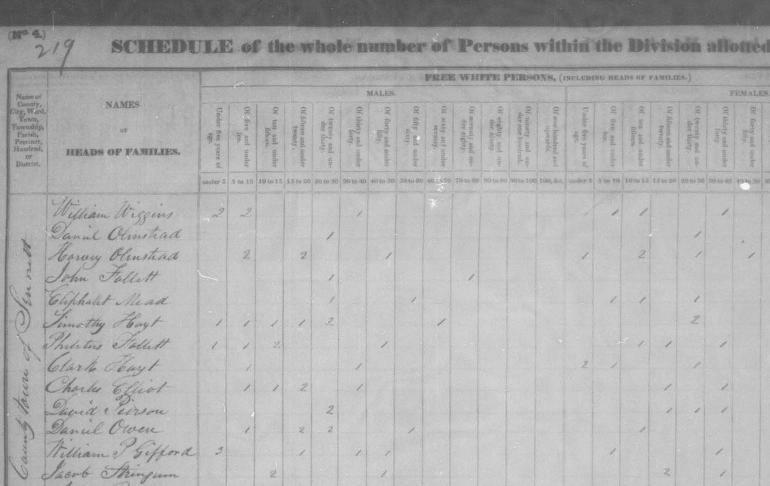 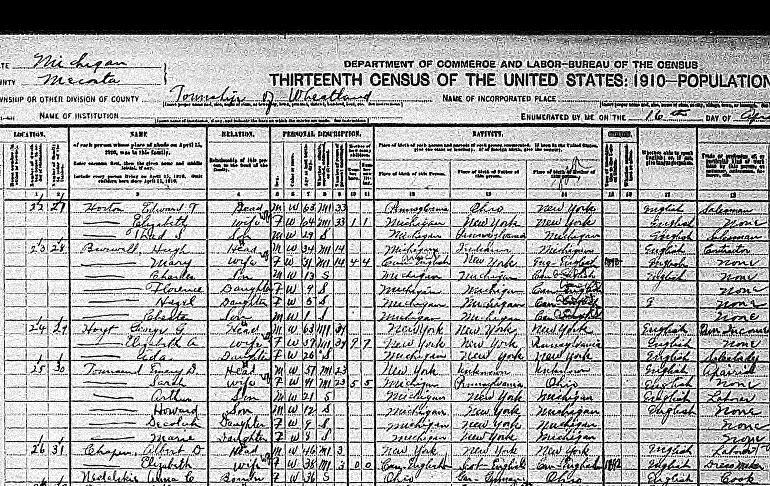 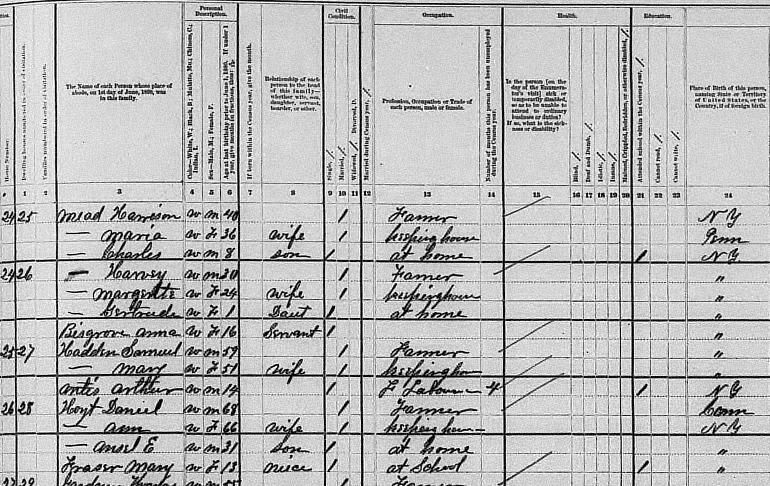 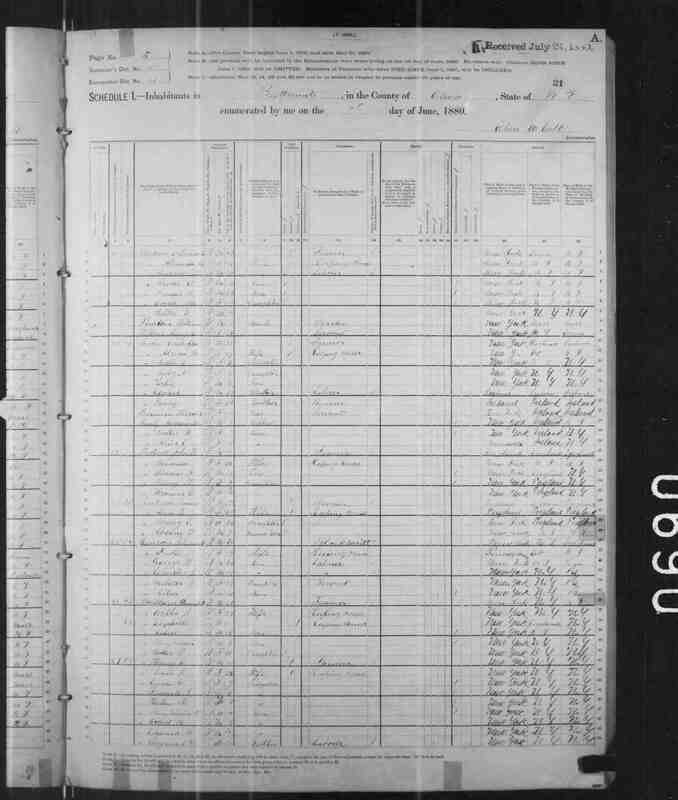 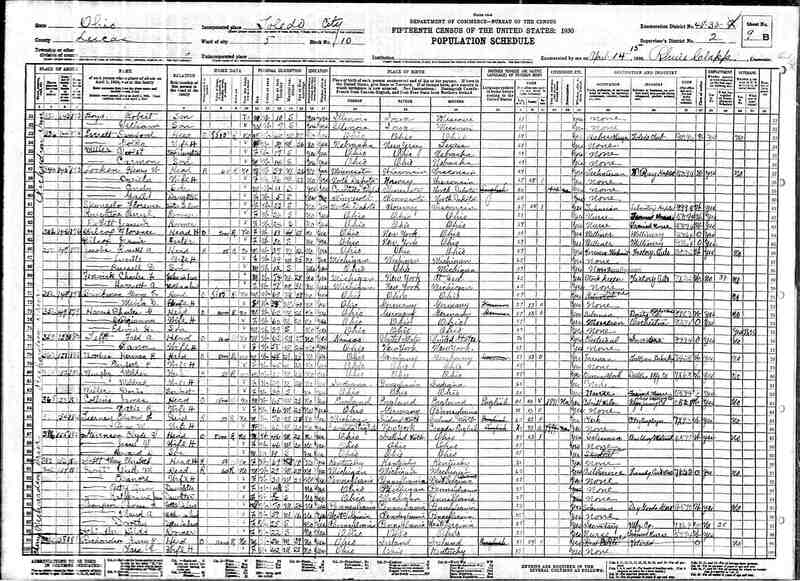 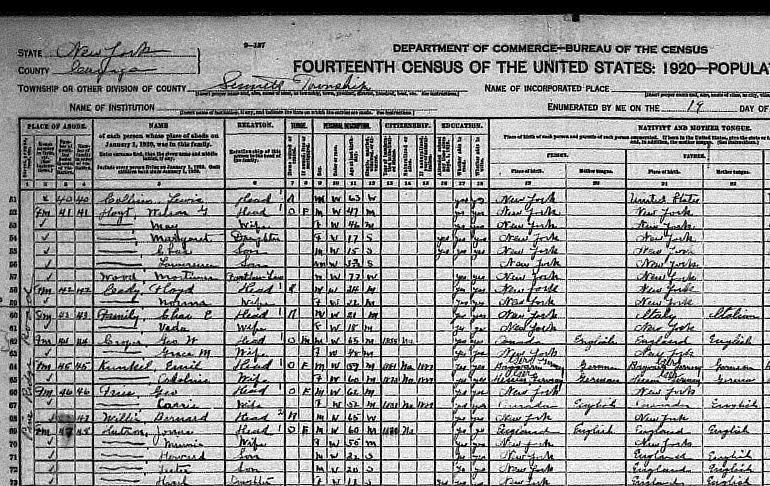 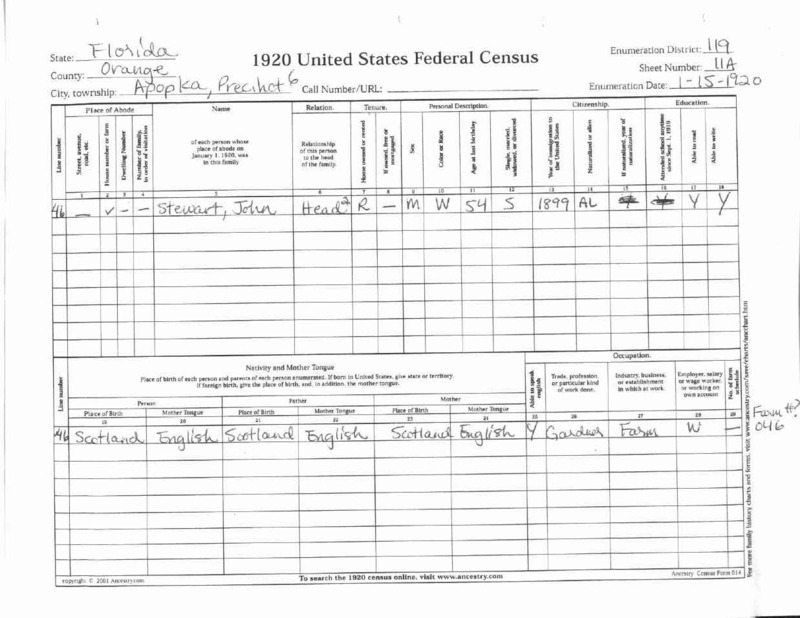 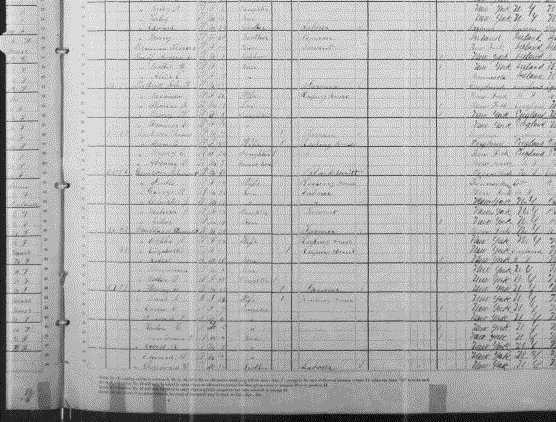 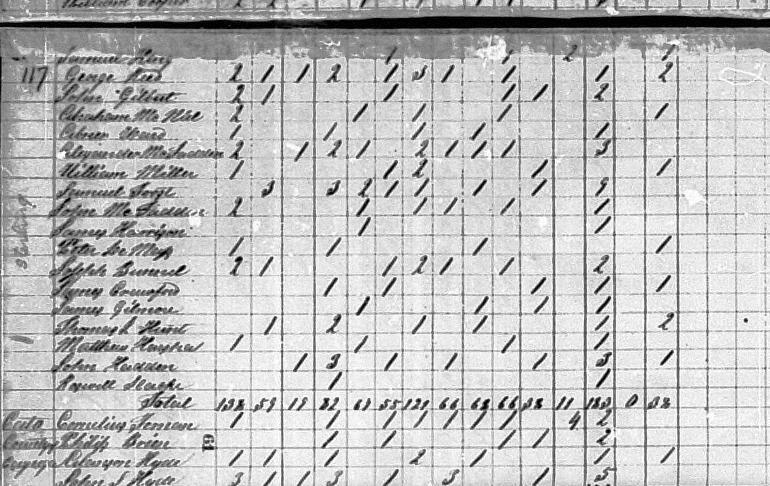 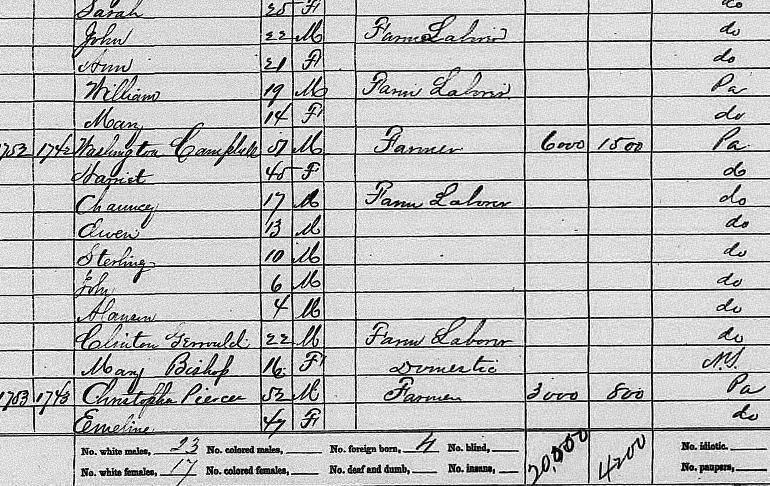 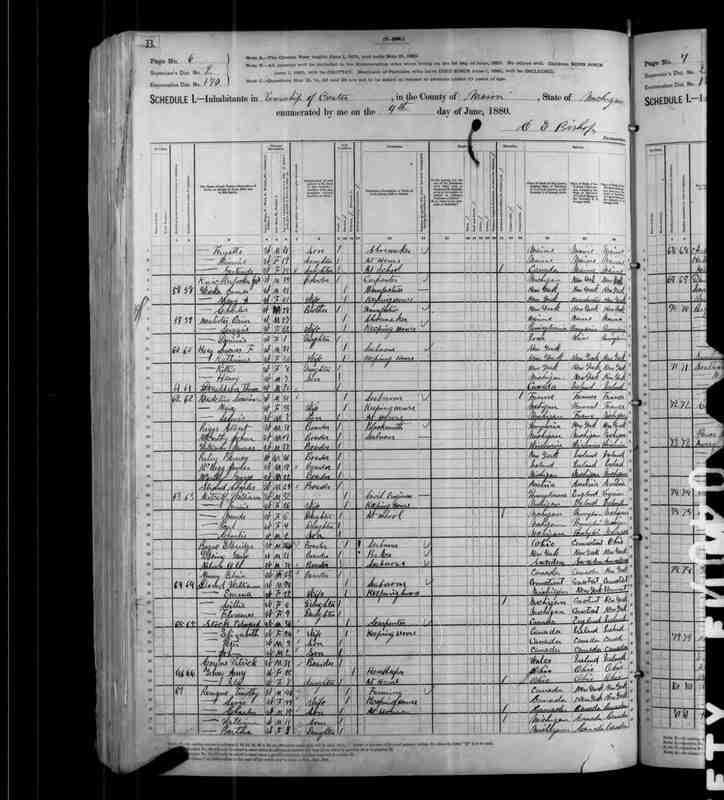 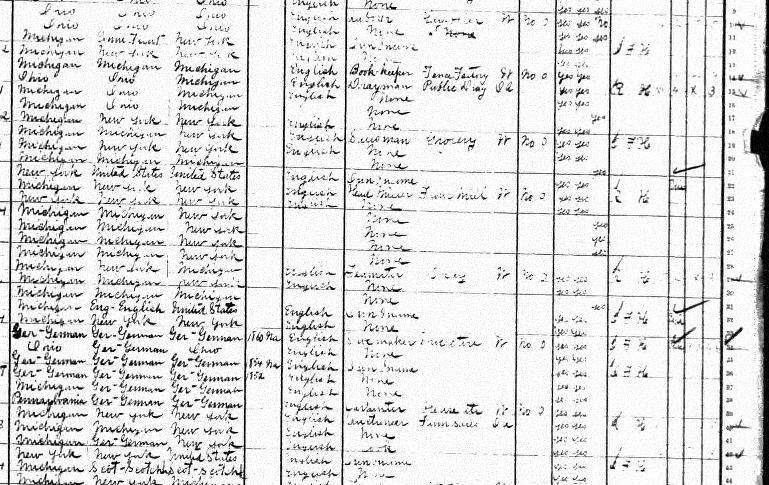 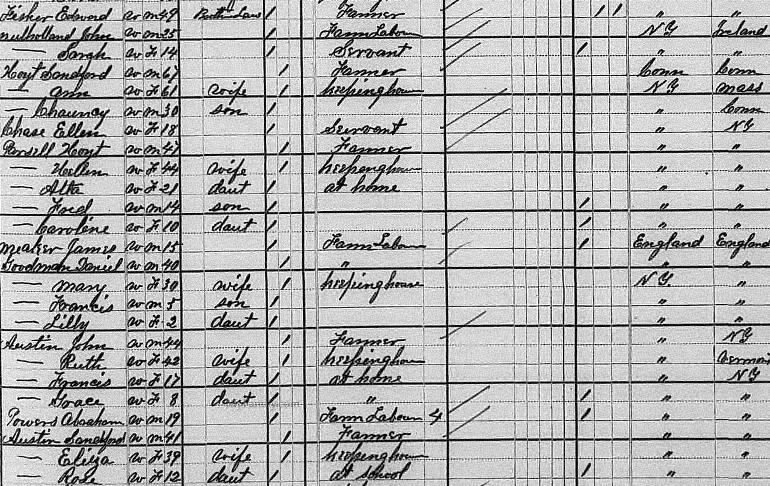 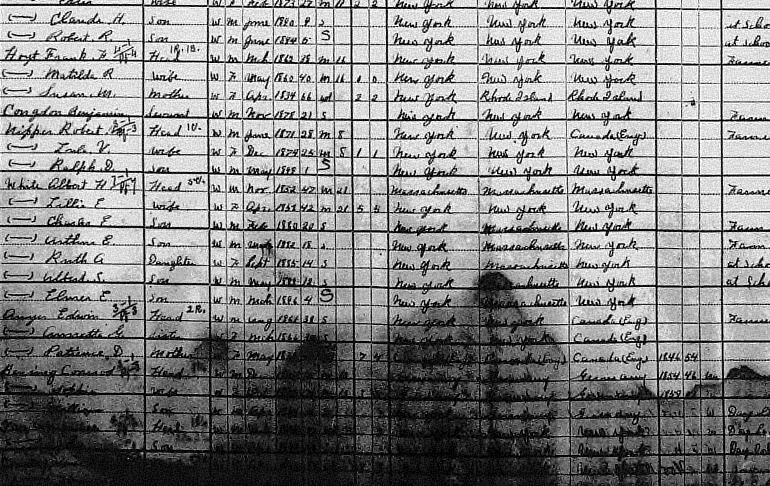 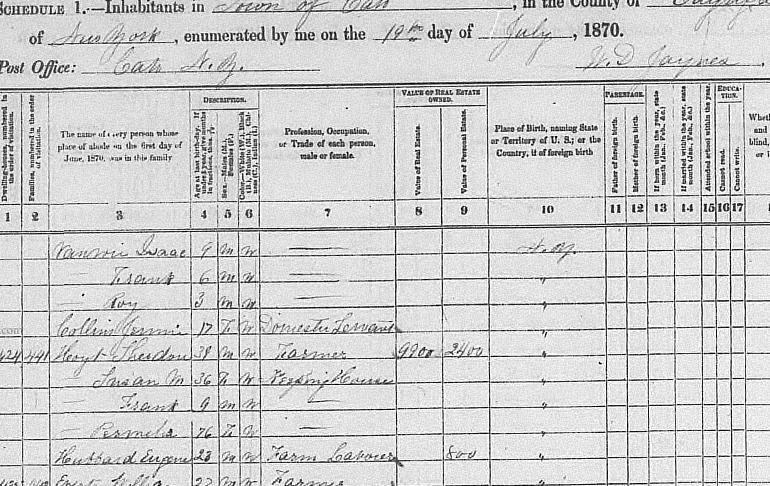 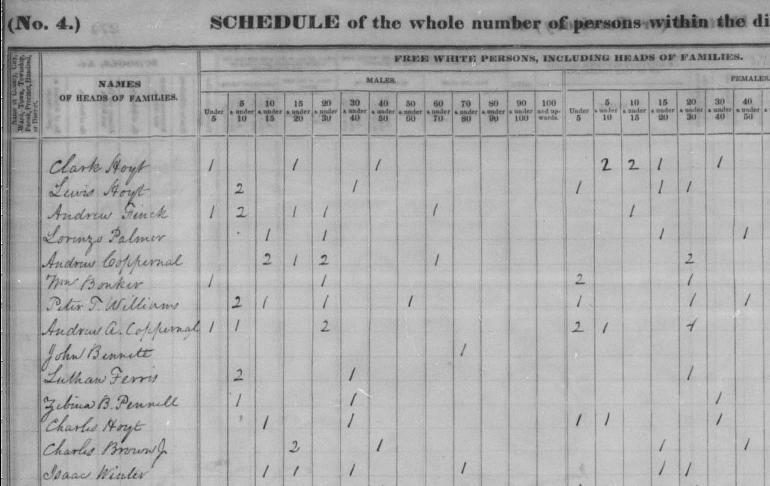 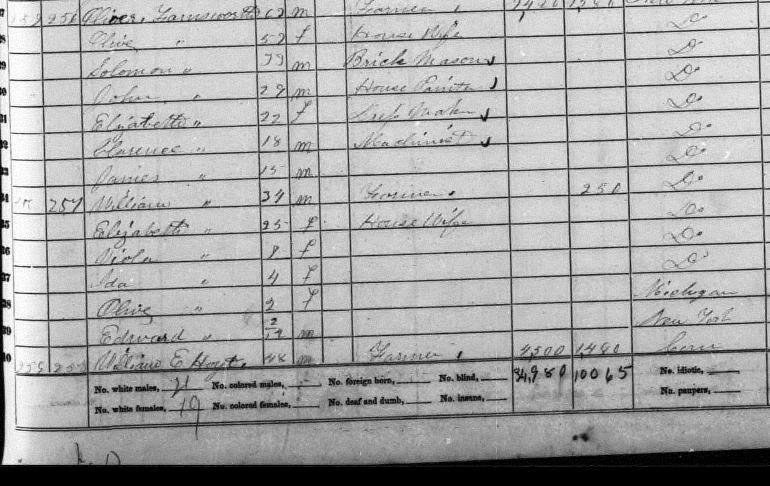 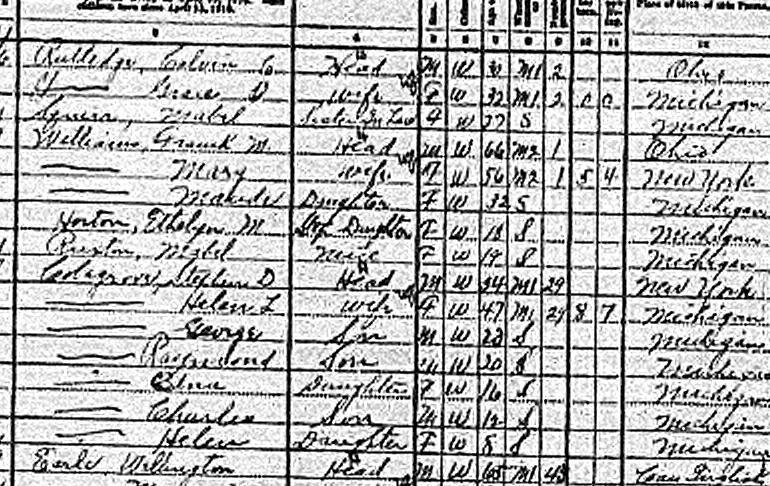 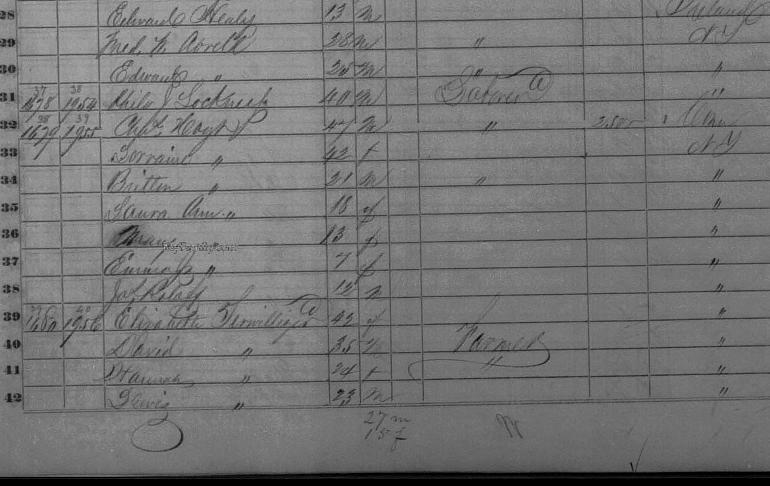 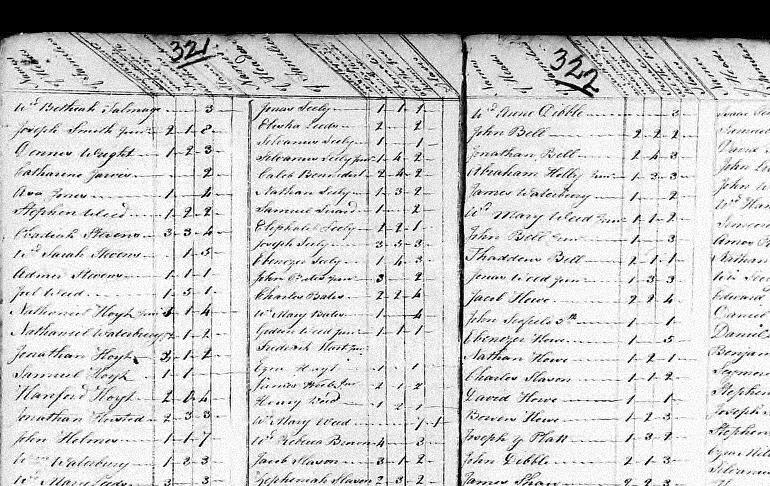 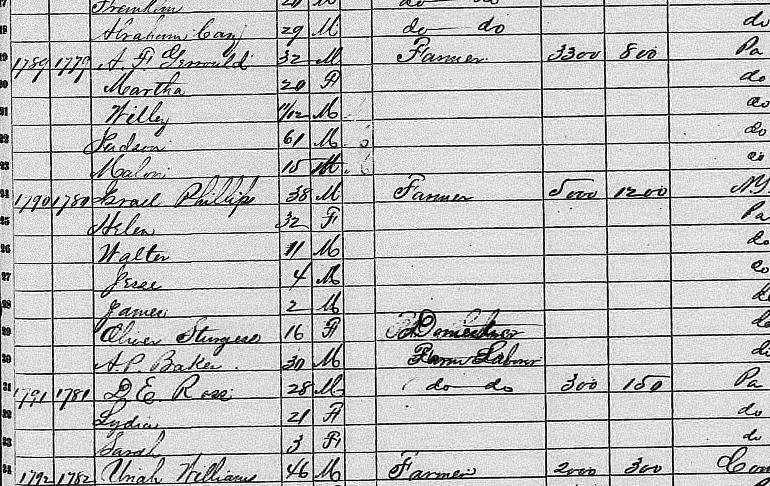 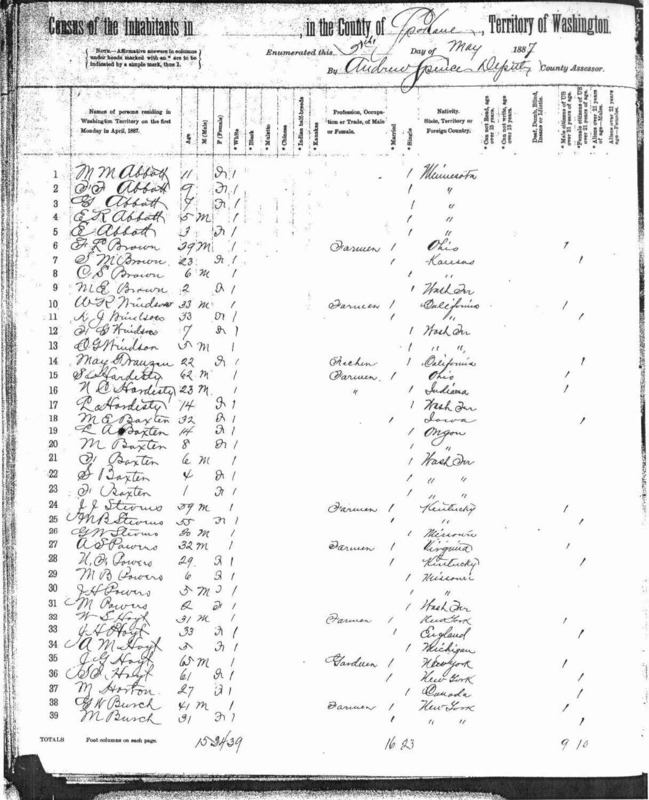 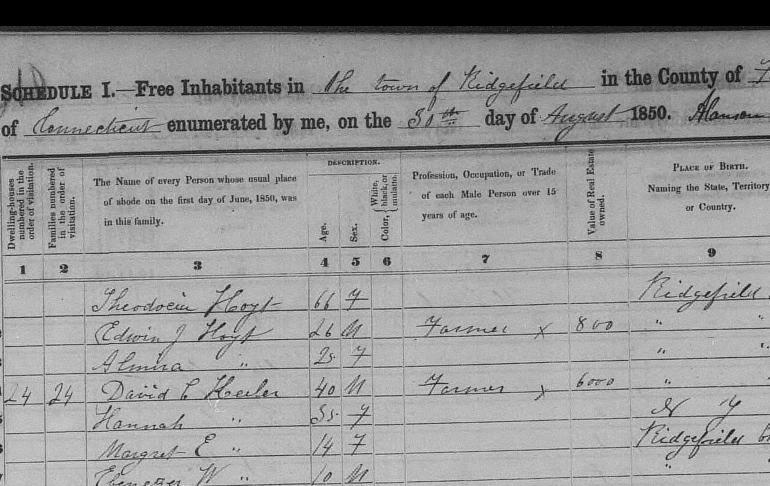 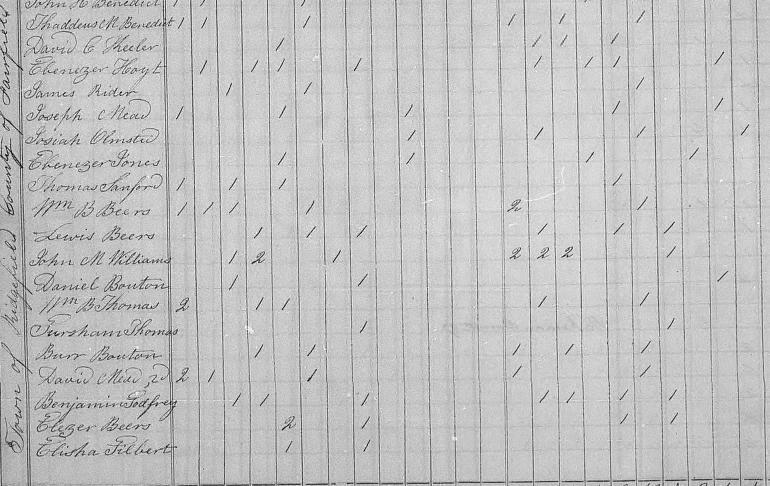 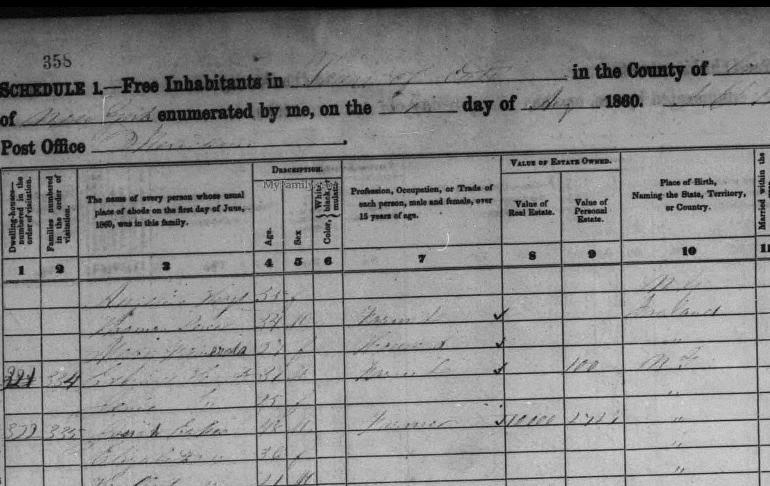 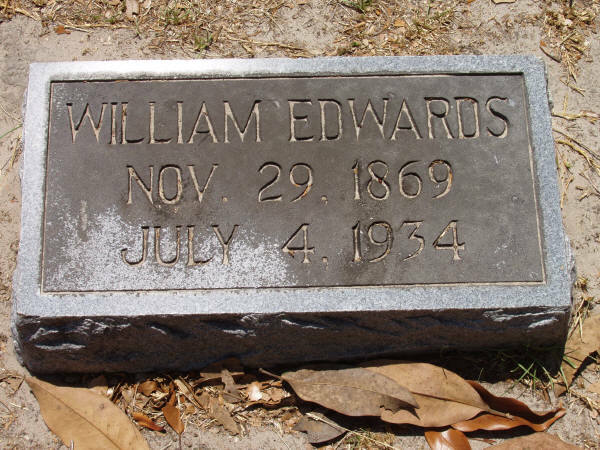 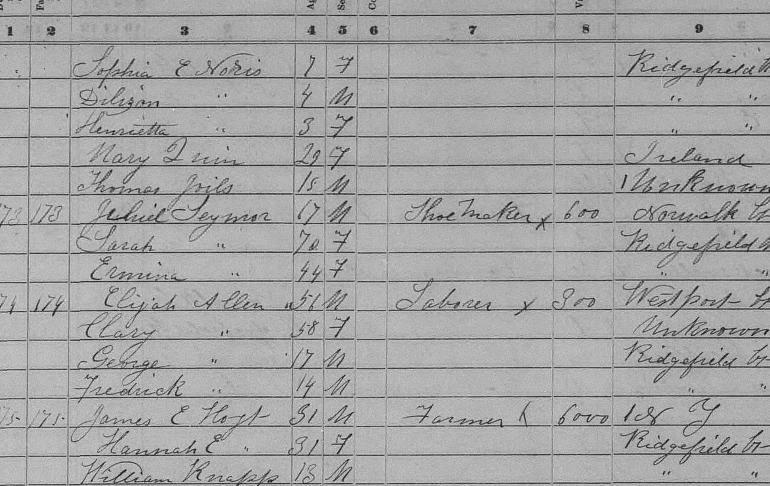 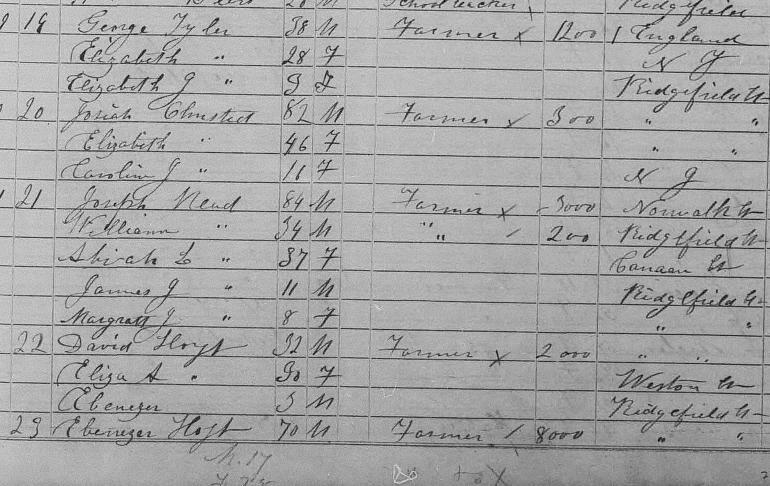 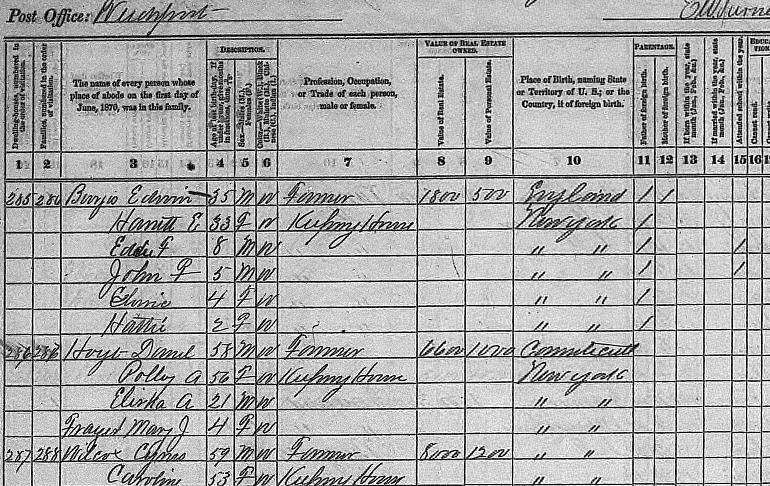 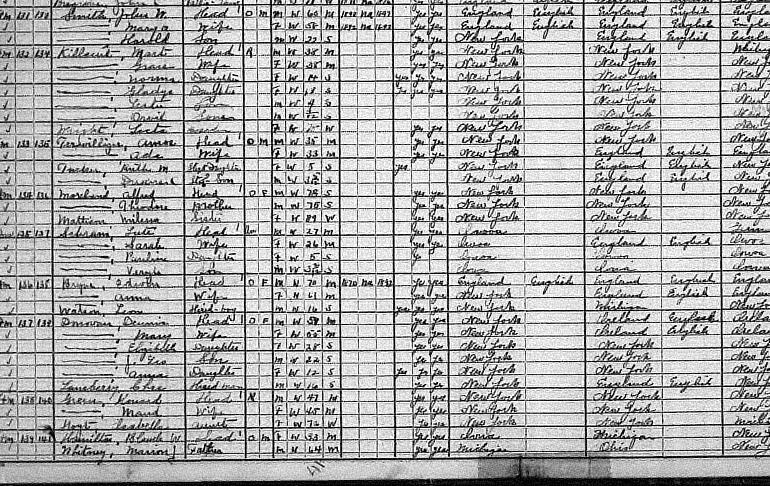 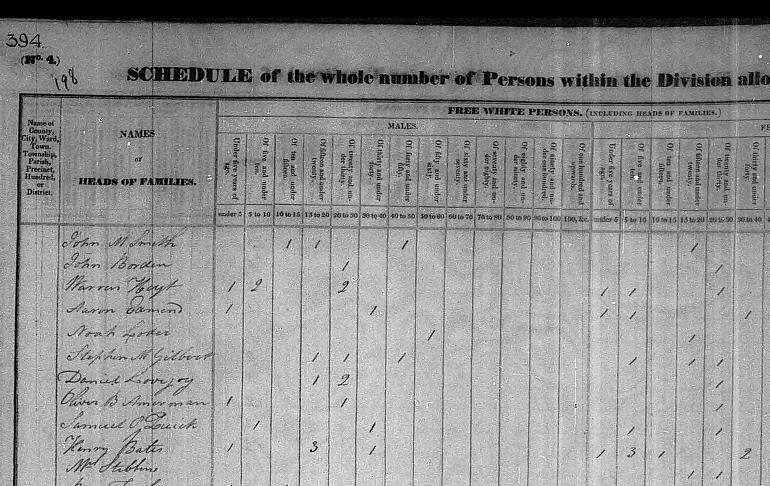 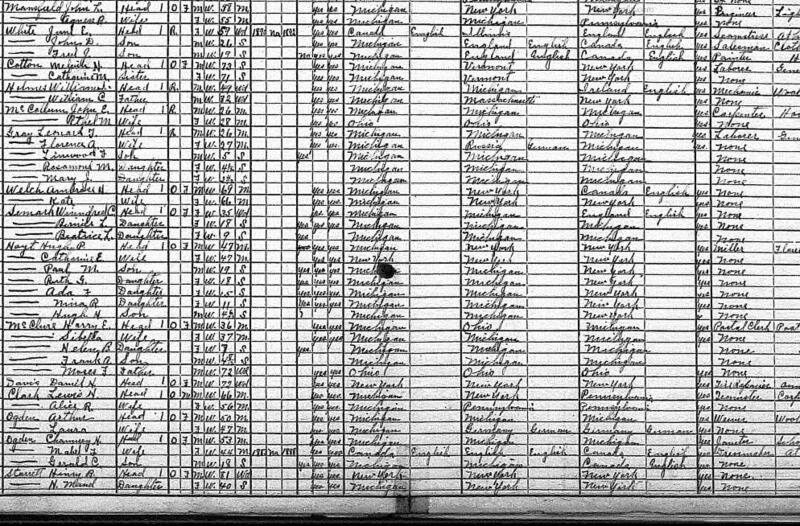 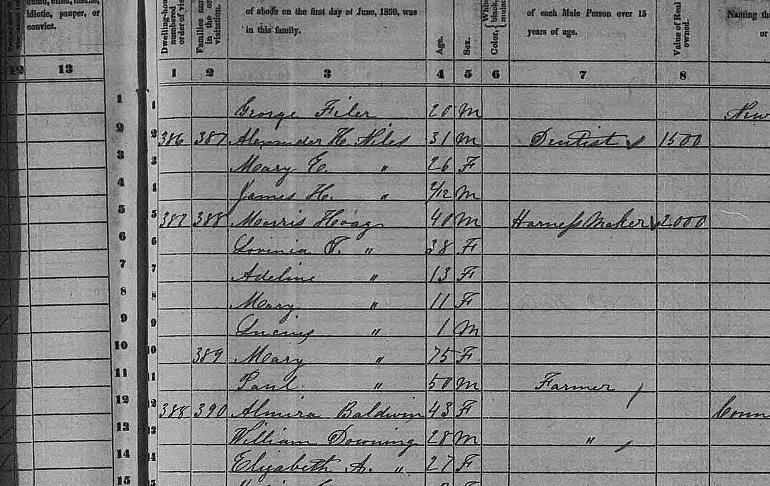 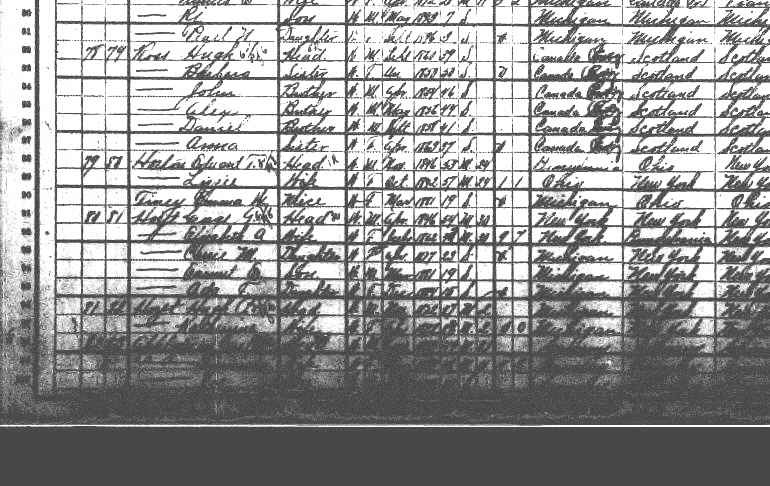 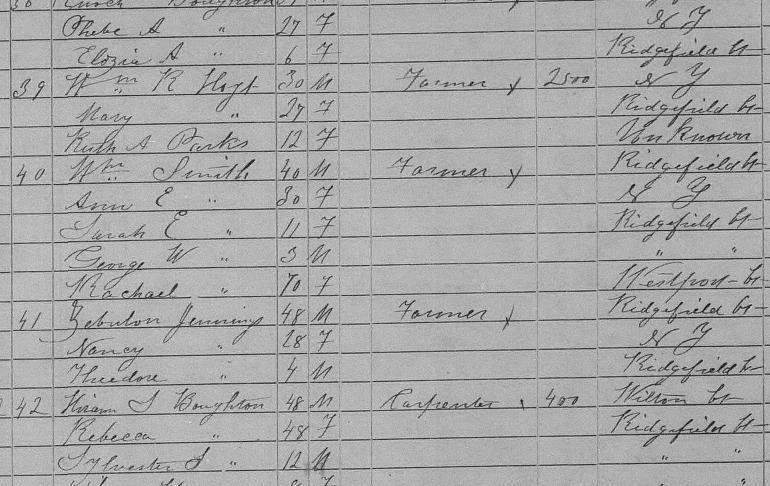 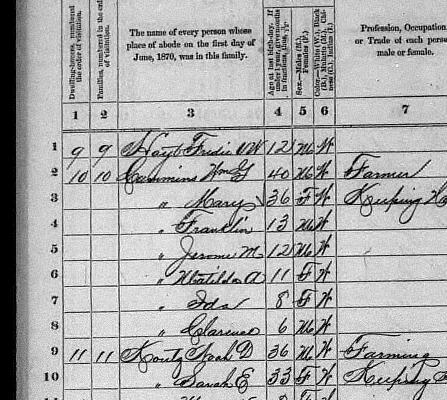 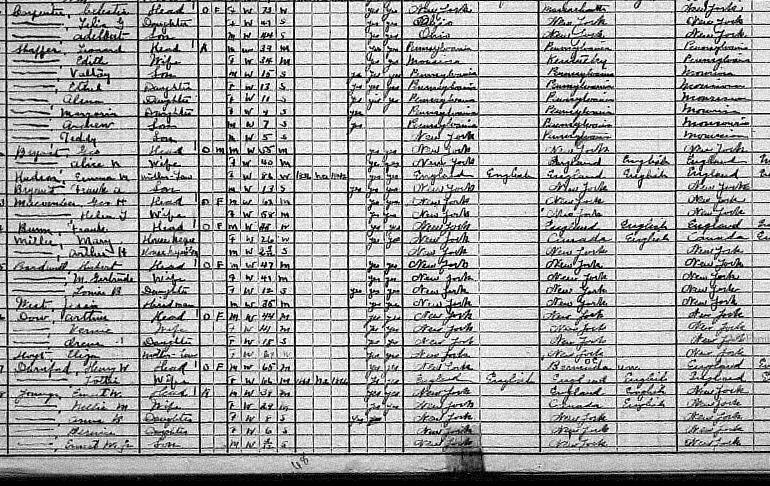 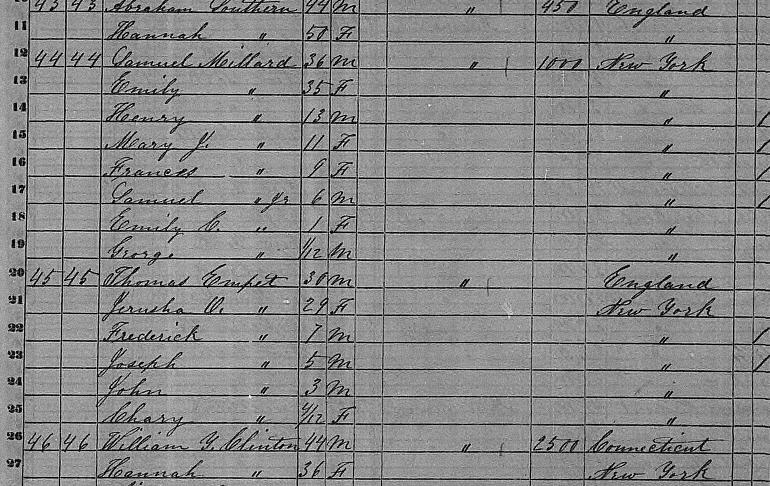 1880: CENSUS: Duplain, Clinton Co. Michigan: Elijah J. 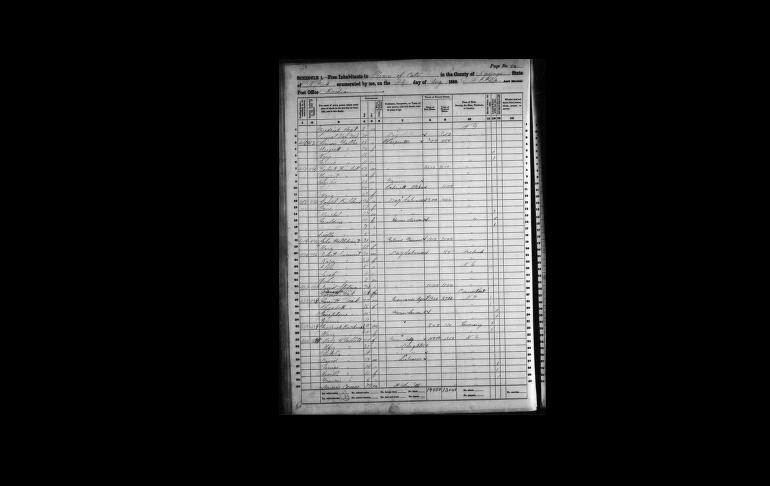 Stone, farmer (67);VT. Fa. 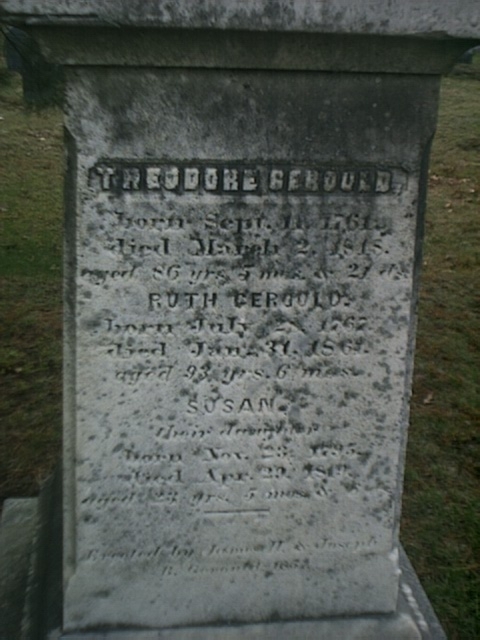 MA Mother: MA / Jessie E. Stone, Farmer (Son) (38);Mich. Fa. 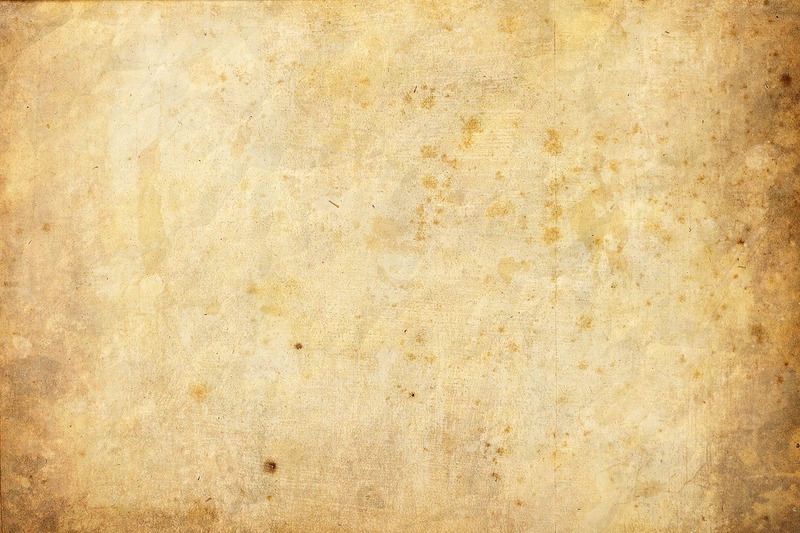 VT. 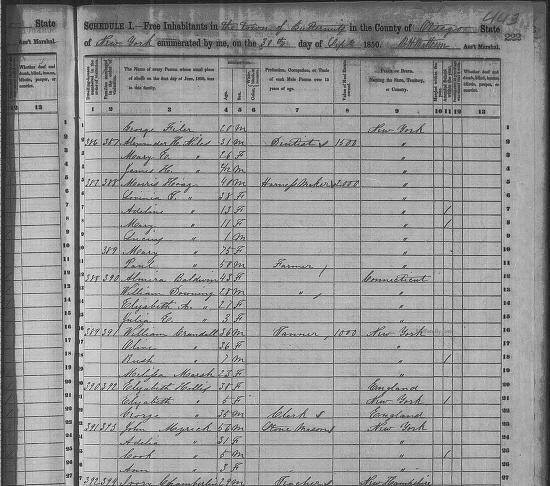 Mother N.Y. / Nettie E. Stone, keeping house , dauL (36);Mich. Fa. 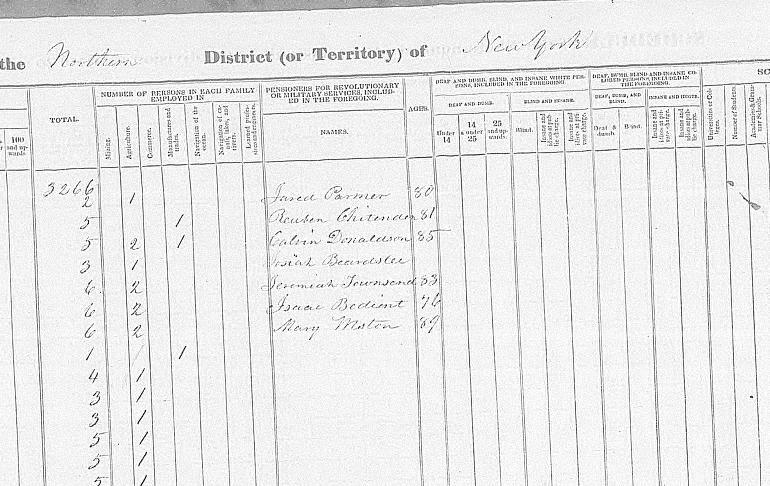 N.Y. Mo. 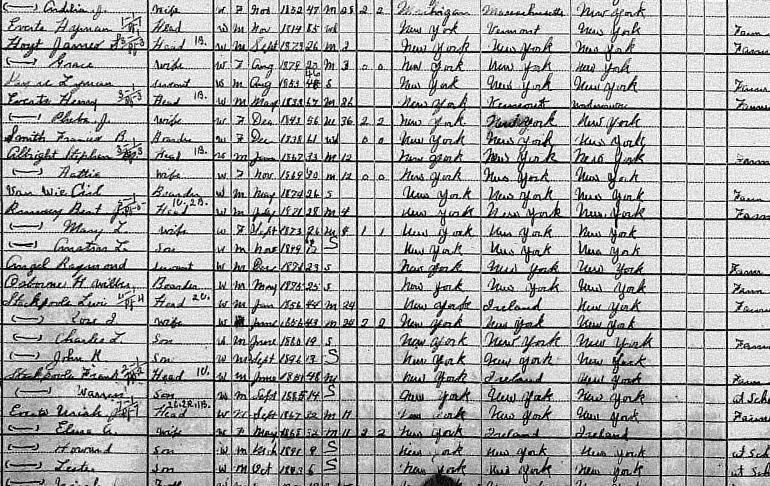 N.Y. / Nellie M. Stone , at school GDau (11) Mich. ; Frank E. Stone, GSon (6);Mi. 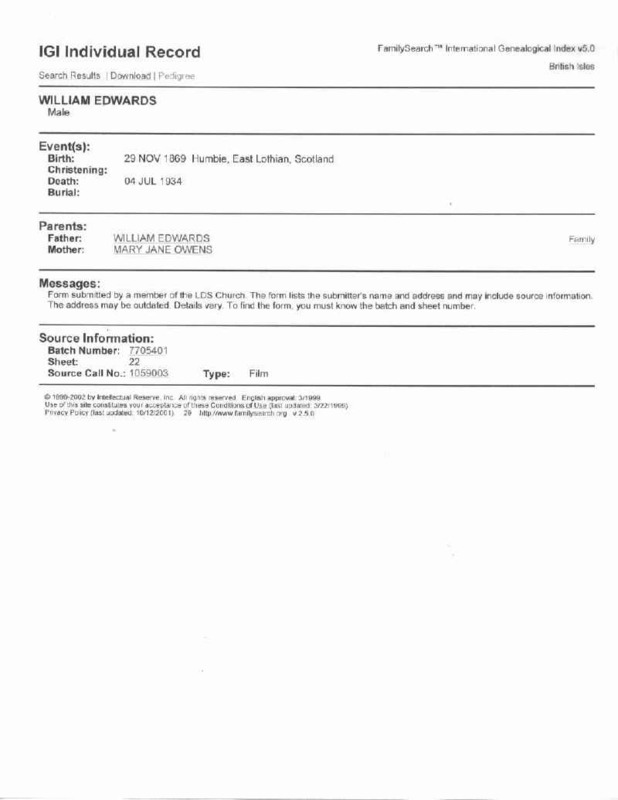 Applied for Copyright © 2002 John E Hoyt October 2, 2002 Click here to see Copyright Information.